Have you or someone you love been diagnosed with rheumatoid arthritis (RA) or psoriatic arthritis (PA)? Have you been told that the cause is a mystery or that it’s your body attacking itself? The truth is that there’s a real cause behind these illnesses that medical science and research are unaware of. Once you know the real cause, you can begin to move forward with healing as you will be addressing the root issue. Most people are told that their rheumatoid and psoriatic arthritis are caused by an antibody that has been created within the body that attacks the joints. This is a misguided theory that not only has never been proven, but has also sadly become law within the medical community. When this antibody was discovered, science and research did not even know what it did, and they still don’t. This means that all of the treatments and prognoses that have been delivered since this theory was put in place have been precariously balancing on an antibody whose function is still a complete mystery, which makes the true cause of RA and PA just as enigmatic as it was when research on these illnesses first began. Additionally, since the current treatments and medications prescribed for patients are based on this erroneous theory, there are so many people who are still suffering from swelling, stiffness, and pain in the joints, as well as the other symptoms that are associated with these diseases. When people first began suffering from mystery illnesses in the 1950s, research and science was compelled to blame hormones. This is because, like so many other times in medical research, all the money was in hormones. There was such a deluge of research being conducted on hormones at the time that pharmaceutical companies were primed and ready to sell their new hormone drugs they had been itching to promote. However, one doctor was not convinced hormones were to blame, so he got funding for more research and dug further. He eventually stumbled upon an antibody, which, he thought, was the ticket. He created a theory that the antibody was the body’s inexplicable weapon against itself, even though the actual reason for the antibody was still completely unknown. This research was so heavily funded that it would have been unacceptable to emerge and explain that they have no idea what the antibody does. Therefore, some sort of conclusion was necessary, some theory that would stick. The reason researchers eventually concluded the body was attacking itself was because it protected the institution of modern medicine. In this theory, the patient is blamed above all else, which in turn prevents any fingers being pointed at medicine. Currently, most funding is going toward gene research, which always concludes that the patient’s genes are to blame and there is nothing to be done. This is just another way to avoid what the real problem is and to place all the blame on the individual who is suffering. I share the truth about these misconceptions in my book, Thyroid Healing. This antibody that has become the false posterchild for autoimmune diseases is actually just one of many antibodies that have yet to be discovered by science and research. The most ironic part about the events of the last half century is that everything medical research claims to be true about this antibody is actually the exact opposite. Rather than attacking the body, this antibody has been created by the body to protect itself from an outside intruder. The antibody, while an indicator of something being attacked, is not the one doing the attacking. It is proof of your body doing everything it can to support and safeguard you. It doesn’t go after tissue; it goes after the pathogen. We are currently living in a virus culture. Our world is rampant with pathogens that are causing the diseases so many are mystified by and calling autoimmune. Medical science and research are unaware that Epstein-Barr Virus (EBV) is the cause of so many illnesses, including fibromyalgia, chronic fatigue syndrome, multiple sclerosis, thyroid disorders, lupus, Lyme disease, tinnitus, vertigo, rheumatoid arthritis, and psoriatic arthritis. There are over 60 varieties of EBV, which may come as a shock to anyone who is only nominally familiar with this virus as well as to those who work in the medical field. I cover this virus in-depth in my book Thyroid Healing. Psoriatic arthritis is created by EBV, which feeds on the heavy metal copper in the liver. Toxic varieties of copper are perfect food for the virus that creates PA. When there is an abundant amount of food that EBV likes, such as copper, the virus becomes stronger and more rampant in the body, attacking the joints and tissues. EBV then creates an internal dermatoxin, which is different to the known external dermatoxin, which then surfaces to the skin. This is when a rash, either of the psoriasis and/or eczema variety, occurs, as well as aches, pains, and inflammation. This process is further explained in my book, Thyroid Healing or Liver Rescue. Medical communities are not aware that this is the true cause of PA, or even that viruses feed on specific foods, metals, and toxins. This is one huge reason why people are not able to receive the answers and help they need to truly heal. Copper can be absorbed into the system in many ways. Someone could have lived in an old house with ancient pipes made of copper that turned everything green. Or they could have used copper pans that flaked the metal off into the food. Copper is rife in pesticides, which means living near farmland, even 50 miles away, can be conducive to toxic copper exposure. Copper is in all pesticides, rodenticides, herbicides, and fungicides, which means we should avoid spraying both inside and outside the house. Anytime you purchase new linens or fabrics, such as towels, sheets, clothing, underwear, or socks, it would be prudent to wash them twice before using. New linens and clothing are loaded with fungicides, which are full of copper that can seep into the skin, your largest organ. It’s important to note that this toxic heavy metal copper is different to the helpful trace mineral copper which is found in plants. Rheumatoid arthritis is also caused by Epstein-Barr Virus that’s in a late stage (read more about the stages of EBV in my book Thyroid Healing,) except this variety of EBV either does not like to feed on copper as much, or there simply is not an excessive amount of toxic copper in the system. The particular variety of EBV that causes RA much prefers the heavy metal mercury as its food. This specific variety of EBV gets into connective tissue, joints, and ligaments in its fourth stage, causing inflammation that’s evidence of your body trying to hold the invader at bay. Swelling of the knuckles, cervical spine, and the like is an indication that the body is reacting to the virus burrowing deeper and causing permanent damage to nerves and tissue. In its milder forms, this may display itself as mystery aches and pains. In its advanced forms, people experience severe joint swelling and a diagnosis of RA. This information is unknown to medical science and research. The most important step you can take today toward true healing is way beyond diet or avoiding sprays. You must first know in your heart the true cause of your disease. Your body is not attacking itself. It is the biggest mistake to believe your immune system is not supporting you. When you believe your disease is autoimmune, you are preventing true healing from taking place because you are not giving your body the support it needs as it continues the fight against the pathogen in your body. Knowing your body is not fighting itself but rather a pathogen such as a virus ignites your immune system to become stronger, more focused, and work even harder for you. Additionally, when you know you should be fighting a virus, you can learn the practical steps you can take to give your body as much support as you possibly can. Unknown to medical research and science, the antibody was created to fight Epstein-Barr Virus; however, your body still needs all the support it can get. The following are some steps to take that can help you to begin recovering from rheumatoid and psoriatic arthritis. Heavy metals are one of EBV’s favorite foods. And almost all of us unknowingly have toxic heavy metals inside our bodies. These metals make it possible for the virus to continue growing and becoming more prolific. And the more it feeds on metals such as mercury and copper, the more toxic waste matter the virus excretes in the body, which leads to the symptoms of psoriatic and rheumatoid arthritis. To get rid of heavy metals, there are five important heavy metal detox foods to include in your diet daily: barley grass juice extract powder, cilantro, spirulina, wild blueberries, and Atlantic dulse. To learn more about the heavy metal detox foods, check out my article and radio show called Heavy Metal Detox. When healing from RA and PA, it is essential to avoid eating things that happen to be some of EBV’s favorite foods, such as eggs and dairy. Also, it’s best to avoid pork because it burdens the liver to such a degree that it gives viruses an opportunity to proliferate, grow, and inflame the joints and skin. It’s also important to stay away from gluten as well because unknown to all medical communities it also provides fuel for the virus. If you have taken out eggs, dairy, and gluten, and you are still experiencing symptoms after several months, consider removing all grains from your diet, including oats and rice, while you heal. Some people tolerate grains well but for some, grains have to be removed to allow for deeper healing. It’s also helpful to avoid corn, soy, and canola oil. To find out more about why these foods are best removed from the diet if you have a symptom or illness, you can read full explanations in my book, Thyroid Healing. While many have been told to avoid fruit because of its sugar content, this trend is actually another example of misinformation that is only preventing people from taking advantage of the powerful antiviral properties in bananas, dates, apples, melons, mangoes, and all other kinds of fruit. Fruit is the most antioxidant-rich food in the world. Antioxidant should really be synonymous with longevity, as fruit is the best food to prolong life and fight disease. Wild blueberries, blackberries, and cherries are among the most antioxidant-filled foods. You can focus on whichever fruits are most attractive to you. If you have the luxury of a farmers market near you, make it a weekly habit to do your shopping there and explore the numerous varieties of fruit that are available to you: apples, pears, peaches, persimmons, apricots, watermelons, and dates. Different kinds of citrus are also a wonderful addition to your fruit-filled diet. While some people may think oranges, lemon water, or grapefruit cause flare ups in their RA or PA, it only feels that way because the citrus is detoxifying the poisons and viral byproduct in your system. In addition to fruit, be sure to eat plenty of leafy greens, vegetables, and include celery juice daily. For more information on other foods to include for these conditions, refer to my books Medical Medium, Life-Changing Foods, and Thyroid Healing. You can also read about many healing foods on my blog. In addition, the 28 Day Healing Cleanse in my book Medical Medium is ideal for these conditions. Zinc sulfate is one of the most important resources to fight EBV. The body uses up supplies and even deep reserves of zinc at a rapid rate—meaning that it’s very common to become zinc-deficient when you have EBV, if you weren’t already. This supplement gives a major boost to the immune system so that EBV cells can be destroyed and suppressed. L-Lysine inhibiting and reduces an EBV viral load and acts as an anti-inflammatory to the entire body. Cat’s claw is a powerful anti-inflammatory and anti-viral that can be very helpful for rheumatoid and psoriatic arthritis. Taking a methylfolate supplement that supports methylation issues along with the right B-12 supplement that contains adenosylcobalamin and methylcobalamin is very important for those suffering with rheumatoid and psoriatic arthritis. Glutathione helps to detoxify the liver, which is where the virus and toxins that cause these conditions can be found. Alpha Lipoic Acid (ALA) repairs and fortifies areas of the body that have been damaged by the virus. Mullein leaf’s strong anti-viral abilities make it an important supplement to consider. The healing information and dietary and supplement guidance shared in my radio show and blog post on psoriasis and eczema would also be helpful to incorporate. Many people with RA go to an infrared sauna to help with the fatigue and stiffness. This can be a good option for you, just be sure not to have the heat set too high Be conscious about how long you stay in the sauna. Another extremely helpful treatment is gentle massage therapy, one of the oldest modalities since the beginning of time. Healing touch from one person to another can be incredible for RA. Rheumatoid arthritis and psoriatic arthritis are not autoimmune diseases, and this myth is one that needs to rectified immediately so that the millions of people who are suffering can begin to get true answers. When you are given wrong information about your illness, you are essentially given a stop sign. My hope is for you to walk away from this understanding of RA or PA with a renewed hope and green light. Realizing that your body is fighting a virus that is feeding on toxins and metals in your system is the first and most powerful thing you can do. You must let go of the idea that your body is working against you. It is impossible for the body to attack a single cell in our bodies. When you are considering your healing options, it can be overwhelming. Remember to take it slow and at your own pace. Everyone’s path is going to look a little different. Maybe the foods to avoid will take you some time to remove but the supplements will come more easily. Maybe eating fruit will be an easy step but including celery juice is too much for you up front. Do what you can today and keep building on it from here. Never forget that your body is working with you, not against you, and healing is possible. If you or someone you love have been diagnosed with Postural Orthostatic Tachycardia Syndrome (POTS), there is likely a lot of confusion surrounding your doctors visits. Perhaps you have been told that your body is attacking itself and that taking medication is the only answer to managing this disease for the rest of your life. This prognosis can make people feel helpless, with no hope for their health to improve. It can be especially difficult having this particular disease because getting out of bed or standing up causes the symptoms of dizziness and lightheadedness, which then prevents you from doing anything at all. While you may have been told that POTS is an autoimmune disease and that your body is inexplicably attacking itself, this is misguided information and should be discarded immediately. There is a real cause to your illness and a direct path to fighting it. The medical research community cannot provide helpful answers to those who are trying to heal from POTS because they have not put enough funding into studies that can actually direct them to the true cause. In this article I will share the true cause of POTS with you. The information provided in this article is not contaminated by internal funding, kickbacks, or trendy traps. This is a pure source of information that is here to help you and put you on the right path toward healing. Thousands of people have been diagnosed with an autoimmune disease such as POTS. Patients are told that their bodies are working against them and making them sick, and they are told this as if it is verifiable fact. However, this “autoimmune” theory is just that, a theory. It is not fact that your body is attacking itself. There is not even scientific evidence to support this. The origin of this mistake dates back to the 1950s and 60s when women were coming down with symptoms in droves. This was the first time in history perfectly healthy women were suddenly becoming very sick. Doctors offices around the nation were filled with people complaining of mysterious symptoms like migraines, fatigue, brain fog, weight gain, and lightheadedness. Since medical research was focused on studying hormones at the time, it was the perfecting timing to blame these symptoms on hormones, even though there was no correlation to make such a conclusion about these mystery diseases. Hormone medications were in production and ready to be released, so the pharmaceutical industry knew they could make more money by telling these sick women they needed hormone therapy. However, one doctor with good intentions was not convinced hormones were the answer. He got funding and started his own research to try to find out the true cause of the mystifying diseases. He came across an antibody that had since then been undiscovered. The only thing this researcher could conclude was that the antibody existed. He could not explain where it came from, how it was produced, why it was produced, or even what it did. His team came up with multiple theories at the end of their search, simply because they needed to have some conclusion after all the money was spent on their work. One of the theories was that the antibody was produced by the body in order to attack itself, causing the myriad of symptoms patients were complaining about. The reason they landed on this particular theory was not because they had due reason that supported it, but because it made it extremely convenient for modern medicine as an institution. Not only did they now have this explanation for the symptoms that the rest of the world would readily believe, but this theory allowed them to point the blame on the sick person. Now it was not the fault of modern medicine, but the fault of the one who was sick. The one suffering became the scapegoat every single time someone came in complaining about symptoms that baffled the doctor. The reason it is critical to understand the history of the autoimmune theory is because we must first accept that our body is not attacking itself. This is only a theory that has become law in modern medicine due to the perpetuation of a practice that keeps the healthcare industry safe from being blamed themselves. A relatable example that will probably sound familiar to you is the modern day research of genes. These days, the only research that gets decent funding is the kind that is related to genes. It is common practice to blame your genes and your heritage for any symptoms you may have. Lifestyle is often forgotten and not even part of the conversation because blaming your genes is yet another way researchers can blame you instead of taking the responsibility themselves. I share more about this ‘Autoimmune Confusion’ and the misguided gene theory in Thyroid Healing, along with other current trends and belief systems that are sadly harming many peoples’ health today. If you have POTS, your body is not attacking itself. The reason I have to say this over and over is because we have been told this for so many years that we start to truly believe it, even if we have initial doubts. The truth is that POTS is a viral issue. There is a virus in your body that is causing the symptoms you are suffering from. I have to give credit where credit is due because modern medicine does have some inkling that POTS has to do with a virus but their theory is that a virus may possibly be a trigger. This is incorrect. The virus is not a trigger, the virus is the cause. However, that has only been a background explanation. POTS is still touted as being autoimmune, even while they have an idea that it is viral. POTS is specifically a neurotoxin disorder. The neurotoxins are created by the virus called Epstein-Barr Virus (EBV) sitting in the liver for a long period of time. This specific variety of EBV produces neurotoxins that float around and swell up the nerves, preventing you from exercising and causing brain fog. The liver’s job is to push blood up to the heart; however, if the bloodstream is full of neurotoxins, the heart will have to work much harder than normal, which is part of what makes you lightheaded when you stand up. The heart has to work so much harder in someone who has POTS because poison is saturating the liver. The poison not only goes into the bloodstream, but it also goes into the nerves and inflames them. To understand more about these poisons, how they affect the liver and its undiscovered functions, and how you can support your liver, check out Liver Rescue. There is an actual antibody in those with POTS, the same antibody that is being blamed for attacking the body. However, it was created for an entirely different purpose. The antibody was actually created to fight Epstein-Barr Virus. The antibody is not fighting against you, but rather working for you. Its entire job is to help you fight off the pathogen that has gotten into your system, the one that is causing dizziness, lightheadedness, fainting, brain fog, and fatigue. This is good news. This means that your body is giving you a chance to truly heal, not keeping you from healing. The answer to healing from POTS begins with acknowledging, and truly believing, that your body is not attacking itself. Your body is working for you. Before you can begin to actually heal, you must recognize that there is a virus you are trying to fight. Afterall, how can you stop an intruder if you don’t know what your intruder is? This first step is absolutely essential. The next step starts with learning what it looks like to live a lifestyle that fights viruses instead of promotes them. Food is often the first thing to change when healing from a disease that has been incorrectly labeled as autoimmune. However, be careful not to get trapped into a trendy diet that says you must lower your carbohydrates and increase your protein. There are many foods we have been told are carbs, like chocolate cakes, cookies, and donuts, and these are obviously things we should avoid if we want to heal. However, these foods are actually loaded with more fat than with carbs as they are typically cooked with lard, butter, oils, and other ingredients extremely high in fat. Additionally, these foods are full of gluten, sugar, preservatives, dyes, chemicals, and natural flavorings, all which are not helpful in lowering your viral load. Good carbs are things that are found in nature and they’re loaded with the nutrients and healing properties your body needs to heal. A diet that is healing for POTS is full of fruit, potatoes, sweet potatoes, and winter squash. If you have been told told to stay away from these foods, now is the time to bring them back in and know that they are some of the best foods for your body. Fruits and starchy vegetables have antiviral properties that will help you fight EBV and heal from POTS. Also, by eating more fruits, leafy greens, and vegetables, you are creating less and less room for the fatty and unhealthy foods that make your liver even more sluggish and help EBV to proliferate. Find out how to support your liver properly in Liver Rescue. Focus on all kinds of fruit, leafy greens, and starchy vegetables. Keep animal protein to a minimum or eliminate it altogether while you’re healing because it slows down the healing process. Specifically, stay away from eggs, pork, and all dairy, no matter what mammal the milk has come from. These things feed EBV more than anything and should be avoided when you are trying to heal from POTS. To find out the best foods to include and delicious recipes for them, check out my books Life-Changing Foods and Thyroid Healing. It’s helpful to consume at least four ounces of fresh celery juice daily and ideally 16 ounces per day. Celery juice contains undiscovered mineral salts that repair the central nervous system. Make this a daily ritual of yours while you begin to heal. Imagine the mineral salts saturating your nerve endings to reboot your whole system every time you drink it. Incorporate some good herbal teas into your daily routine as well. There are so many wonderful teas available to us today, such as nettle leaf, peppermint, lemon balm, and ginger. These herbal teas have effective antiviral properties, and they are also delicious. Try to snack on something every 45 minutes. This is a small but powerful tool for those healing from POTS. If you would like some ideas for healthy snack options, check out my 16 Snacks for Adrenal Fatigue that can be perfect for someone with POTS. There are many supplements we can include when healing. The following are some fantastic options that help fight EBV. To find out more about how to heal from EBV, reference my book Thyroid Healing. Zinc sulfate boosts the immune system by strengthening white blood cells so that they can seek out and destroy EBV cells. Vitamin B12, as adenosylcobalamin with methylcobalamin, protects your entire body from EBV neurotoxin damage. A good methylfolate supplement may help you with your methylation issues alongside the B12. L-lysine acts as an anti-inflammatory to the entire nervous system by inhibiting and reducing EBV viral load. Licorice root destroys EBV cells, especially when they are in their second and third cycles. It is also one of the most powerful herbs for restoring the adrenal glands. Lemon balm kills off and repels viral and bacterial cells, all while strengthening lymphocytes so the immune system can further fight off the virus. Vitamin C is especially good at getting rid of EBV over time, flushing out toxins, and building up the central nervous system. Goldenseal is a powerful herbal antibiotic and immune system enhancer that contains potent antibacterial properties. It can be challenging to even begin to take healing steps when you have a disease like POTS because even the most menial tasks can be so exhausting. If you have friends and family who love and support you, lean on them and ask for help. It can be a game changer to have a strong support system who is fighting the virus with you. If you want to truly knock down EBV and gain your health back, ask someone to help you take your supplements. Juice celery with a family member every morning and make it part of your home life. Ask friends to come over to make new meals with you. Your friends and family want to see you better, and people often surprise us with abounding generosity when we simply ask for help. And if you don’t have anyone to ask for support, know that your body is your strongest support system. It is doing everything it can to fight EBV, and it will be even better able to fight it with this information and the right foods and supplements. One day a time, you can heal. Do you struggle to fall asleep at night because of an overwhelming need to move your legs? Maybe you experience the aggravating sensation of an itch or tickle deep in your limbs that can’t be scratched? Millions of people are suffering from an issue with restless legs, but unfortunately medical communities are not aware of the true causes of this condition. As a result, doctors are unable to offer effective suggestions for addressing this syndrome’s root cause. In this article you will learn some of the most common causes of restless legs, along with different foods, supplements, and practices you can implement to recover from this condition and begin to experience the deep, restful nights of sleep you deserve. I’d like to start by telling you a story about the first time I encountered restless legs syndrome. I was 14 years old and was working as a stock boy in a grocery store. My job was to put away all the canned goods and the different food items. I was already helping people with their health problems at the time and some of the customers would come up to me seeking help with their different struggles. A very distraught woman came up to me one day looking for advice. She told me that she was up all night moving her legs around. I was fascinated by this unusual idea. She explained that she would go to relax and unwind at night and have some tea and begin to fall asleep and then she’d get a tickle that would incite an uncontrollable urge to move her legs around. This ticklish feeling that caused her to constantly shift her legs would continue throughout the night. Typically, after some time passed, the woman would get up out of bed, try to take her mind off of it and then begin winding down once again. Unfortunately, she would turn off the light, the deep ticklish vibration would resume, and the whole process would repeat itself until it was morning and, angry and exhausted, she would pass out and sleep until late morning. Sometimes she would go days without rest until she was so worn out she couldn’t help but fall asleep. That’s when Spirit taught me about restless legs syndrome. And while there can be many different causes, none of which medical communities know or understand, Spirit taught me that for this woman it was a neurological condition. She was dealing with a heavy metal deposit in a certain part of her brain, specifically the right frontal lobe. For her, it was about removing the heavy metals. The ticklish sensation she was experiencing in her leg was being triggered by an electrical impulse trying to find a new path around a small heavy metal deposit in her brain. During the day, as this woman went about her life, she was relying on the other side of her brain because she had a number of things to do. This frenzy of electrical activity overrode the impulse that caused so much aggravation during the nighttime. In the evening, when the one side of her brain was in a more relaxed state, the electrical impulse on the other side became much more obvious. The grocery store I worked at was stocked with an abundance of cilantro on account of my recommendation. At this point in time, no one else in the world knew about cilantro’s incredible ability to help rid the body of heavy metals, such as mercury. This made it easy for my client because cilantro was one of my key recommendations. I also encouraged her to bring in ample celery juice as well. As I share in my book Life-Changing Foods, celery juice has a critical, life-enhancing mineral salt blend that science has yet to discover. Nutrition science merely suggests that there is sodium in celery, but what they have yet to recognize is that celery contains a complex mineral blend. The neurotransmitter support found in this herb helps electrical impulses do what they need to do. At the time this woman approached me, there wasn’t a great juicer on the market. Instead of recommending a juicer, I suggested she blend and strain an ample amount of cilantro and celery every single day, and I recommended she add it to her meals and snacks as well. At that point in time, there weren’t the abundant supplement options we now have, so she relied heavily on the incredible healing properties of the foods I recommended. It was miraculous how quickly this woman found freedom from her restless legs syndrome. After she healed, anytime she saw me working in the grocery store, she would shout, run over, and give me a huge hug. Her relief was enormous! That was the first case of restless legs syndrome I ever encountered, but it definitely wasn’t the last. The name restless legs syndrome does not describe just one particular state of suffering. This syndrome presents itself in a variety of different ways, all of which can vary in the level of severity. Below are some of the most common causes of restless legs syndrome and some of the symptoms you may experience. Medical communities are unaware that these are the true causes of RLS. In some cases of restless legs syndrome, people get an itch that they cannot scratch and cannot soothe. The infuriating feeling of itchiness usually occurs deep within the legs rather than on the surface. Typically, this kind is caused by a virus, the shingles family virus. There are undiscovered varieties of the shingles virus that don’t cause rashes but do cause many other symptoms. Medical communities aren’t yet aware of this. If you are experiencing this particular variety of restless legs syndrome, check out the “Shingles” chapter in my first book Medical Medium which talks about the different shingles varieties. Consider incorporating some of the healing foods, herbs, and supplements outlined in that chapter or take the chapter to your practitioner for help applying it. Another form of restless legs can stem from sciatica. The sciatic nerve can cause a lot of restless leg issues, even if you don’t feel it directly at the nerve. In this case, restless legs syndrome can be caused by a disc issue, a direct injury, or it could also be triggered by a rashing or non-rashing strain of the shingles virus inflaming the sciatic nerve. Epstein-Barr virus, which I cover extensively in my book Thyroid Healing, can cause this too, but shingles is far more common. The shingles virus swells up the nerves in the lumbar spine, forcing the discs to move and causing the nerves to get squeezed. This is also behind the confusion when people are told they have a slipped disc, but they haven’t done anything to “cause” it. Viral activity alone can cause the discs in our spines to be forced out of position. That’s something your doctor isn’t going to tell you because they don’t know this. If you feel that your restless legs are stemming from a sciatic nerve issue, make sure to ice it at night and use warm heat in the morning. This will help calm that nerve down and help it begin to heal. I share the specifics of this strategy in my radio show and article on Recovering From Physical Injuries. Bringing antiviral supplements into your protocol, like those I list in Medical Medium and Thyroid Healing, can be critical as well. It might surprise you to learn this, but restless legs can also be triggered by food moving through the colon. Sometimes people develop a little bit of gastritis because of inflammation from bacteria. As the gas bubbles are moving through the intestine they can hit inflamed areas, little pockets in the lining known as diverticulosis that could be caused by old E. coli or streptococcus. These gas bubbles traveling past can trigger restless legs because there are countless nerve endings in our intestinal tract. To better grasp this, it might be helpful to know that the intestinal tract is like a second nervous system. This is one of the most irritating and common causes of restless legs syndrome. Gas bubbles moving through the intestinal tract irritate the nerve endings in the colon that are connected to the lower half of your body, which can trigger sensations in the legs. Another aspect of the intestinal causes of restless legs syndrome can be related to low HCL and low bile production. Medical science and research are unaware of this cause also. When there are not enough bile salts coming out of the liver to breakdown food properly, the food that isn’t broken down goes through the intestinal tract and rubs against sensitive nerves. Incorporating celery juice into your diet can be an incredible support for those suffering from this particular type of restless legs syndrome. The liver and the intestines can go hand in hand when it comes to restless legs syndrome. The liver can contribute to the low bile production that impacts the body’s ability to digest foods properly. The liver can easily grow overheated because it is so overburdened with viruses, poisons, pesticides, herbicides, DDT, adrenaline and more. The liver has to take on every toxin you are exposed to and attempt to deal with it. You might even have a virus like Epstein-Barr in the liver causing scar tissue. Medical science and research are sadly unaware of this truth. Fortunately, this particular issue can be addressed. Check out my radio show on Epstein-Barr and my book Thyroid Healing, which goes into great detail on information about the Epstein-Barr virus that’s undiscovered by research and science, to find out how you can recover your health. And check out my book Liver Rescue to understand how your liver is affected and the steps to take to bring yourself healing. The liver can grow sluggish, stagnant, and unresponsive, but this organ can also grow over-responsive and can begin to squirm, wriggle, and spasm. Some people feel this activity, but others do not. People might not even realize restless legs are what are keeping them up; they might just wake up in the middle of the night and not know why. They may even mistakenly assume it’s because they need to go to the bathroom. Others know that their restless legs are the issue, but they do not realize that their overburdened, spasming livers are the cause. You can have so many things going on in the liver such as sluggishness or liver heat that might not be recognizable. They might not even show up on a blood test, CT scan, or MRI. A fatty liver can be detected, but a pre-fatty liver, which is currently undiagnosable, can cause restless legs as well. It is important to remember that an overburdened liver can be the hidden culprit behind restless legs syndrome and it is important to care for this vital organ by removing the Foods Not To Eat listed in Medical Medium and you can also consider doing an extended version of my 28 Day Cleanse in the same book. As shown through the story of my first restless legs syndrome case, this condition can also be caused by heavy metals that interrupt the neural pathways in the brain. But what I did not mention earlier is that this condition can also come from MSG deposits in the brain as well. If you think your particular restless legs syndrome is related to heavy metals, working to clear them out of your system is critical. Check out the heavy metal detox on my blog or in my first book, Medical Medium. Restless legs do not usually arise from just one thing. There are multiple factors and sometimes cases involve a number of them at once. You can actually be experiencing all of the factors mentioned above at the same time. In some unique cases it may be more straightforward. The restless legs may be related to a frozen SI joint, spinal issue, or an abundance of calcifications throughout the body, which may make falling asleep more challenging than usual. But in many cases there are multiple contributing factors that cause sleeping or even napping to become an unimaginable challenge. Sadly, the lack of information surrounding this condition forces doctors to have very few beneficial solutions to offer their patients. Some doctors offer their patients medication. And in some instances, certain medications can temporarily help lessen the suffering for a person which can allow them to heal in other ways. Although medication can be beneficial in certain circumstances, it’s helpful to be cautious with it. Try to be your own advocate and get the best information available to help you heal. The supplements and foods that are right for each individual will depend largely on what factors are contributing to their restless legs. In the case of heavy metal deposits, cilantro and the heavy metal detox smoothie are incredibly important to begin removing these metals from the body. This smoothie isn’t just for detoxing heavy metals though, these ingredients, which include wild blueberries, cilantro, dulse, spirulina, and barley grass juice powder offer support to the body in countless ways. You can find out more about how to make the heavy metal smoothie here and read about the physical, emotional, and spiritual benefits of these particular foods in my second book, Life-Changing Foods. Incorporating a plethora of fruits and vegetables into your diet can be a fantastic way to begin combating restless legs syndrome. Potatoes are a miracle food for restless legs. Try and eat steamed potatoes. They have powerful anti-viral properties and are wonderfully healing. You can read about the potato’s miraculous qualities in my book, Life-Changing Foods. They have enough lysine to kill off viruses residing in the liver that may be contributing to someone’s restless legs syndrome. Do not let biased, agenda-driven misinformation about potatoes dissuade you from bringing this healing food into your diet. If your restless legs syndrome stems from a heavy metal issue, eating mango before bed can help with calming the electrical impulses in the brain. Celery juice is also a powerful aid for restless legs syndrome and can benefit the body in multiple ways. Celery juice was particularly helpful for the woman whose healing story I shared at the beginning of this blog post. Wild blueberries, found in the heavy metal detox smoothie, can positively benefit a restless legs syndrome case regardless of the cause. These powerful berries help combat the shingles virus, aid in reducing inflammation, offer tremendous support for the liver, and can help remove MSG as well. If you think your restless legs syndrome is related to MSG deposits in the brain, L-glutamine can be another important addition to consider. PharmaGaba can help mitigate symptoms, as well as melatonin. It may be best to start with a small dose of melatonin, but know that some people can benefit from working up to a larger dose. Bacopa can help support neurological issues contributing to people’s restless legs syndrome. Licorice root can be incredibly supportive for helping to ease and calm down the liver. B-12 with methylcobalamin and adenosylcobalamin and chaga mushroom extract powder are two other very supportive options. If you feel that shingles is a contributing factor, be sure to read the “Shingles” chapter in Medical Medium and review the supplements and foods mentioned there. If you’re looking for high-quality supplement recommendations, check out the Medical Medium supplements page. It’s incredibly important to stay hydrated to help flush and cleanse the liver. Drinking lemon water daily is a fantastic addition for anyone working to heal restless legs syndrome. You can also find out more about chronic dehydration on the blog. There are some great things you can do to begin recovering your peace of mind. One of the easiest ways to help with restless legs is to take walks. If you are able to walk, definitely set aside some time to do so. If you have sciatic issues, you might not want to, but just attempt to do what you can. Even a very gentle walk outside or around your house can be beneficial. If you’re able to, walk frequently, quiet your mind as much as possible and observe the sights, sounds, and smells around you. This present moment walking technique can be incredibly powerful for alleviating restless legs and can be especially valuable for people whose restless legs syndrome stems from heavy metal issues. There is hope for anyone suffering from restless legs syndrome. It is not something that you have to live with forever. As you begin to incorporate these suggestions, know that it is possible to be free from the exhaustion and discomfort you’re dealing with now. Make sure to incorporate hot compresses in the morning and cold compresses at night to help calm the nerves at the base of the spine. Begin working in these supportive foods and supplements as much as possible. Hold on to hope and know that you are not alone. There is a real cause behind the frustrating symptoms you’re experiencing and by moving forward armed with this knowledge you will be able to move forward with healing. Have you or a loved one ever experienced a chronic gut health problem or received a diagnosis like celiac disease, leaky gut, IBS, colitis, SIBO, gastritis, or candida? These conditions, while diagnosed frequently, are not yet fully understood by medical communities today. In truth, medical science and research are still very far from knowing the true causes of the symptoms that are given names like leaky gut, candida, and IBS. There are real reasons you or your loved ones are experiencing gut health issues, and here I will be explaining the true cause behind these illnesses and what you can do to heal from them. If someone is experiencing regular constipation, it could be due to a variety of factors, which can cause inflammation in the small intestinal tract and colon. When there is inflammation in the intestines, it weakens peristaltic action, which is the wavelike movement created by your central nervous system that pushes food through your digestive tract. The lining of the intestinal tract is covered in nerve endings, and some of these nerves are directly related to the peristaltic action required for proper digestion. Signals cannot be sent and received in the right way when there is inflammation in the colon, which is what prevents the peristaltic action from occurring. It’s important to understand, however, that inflammation is not the cause. There is something else that is causing the inflammation. In the case of constipation, as I share in my book Thyroid Healing, inflammation can come from either a pathogen that’s taken up residence in the intestinal tract or a toxic, stagnant, sluggish, or fatty liver. Pathogens that cause inflammation are the Epstein-Barr Virus (EBV), E. coli, shingles (there are undiscovered varieties that don’t cause rashes, which I revealed in my book Medical Medium), HHV6, and/or chronic streptococcus. Medical communities are unaware that these are the true causes of constipation. They are also unaware that these pathogens feed on certain foods along with toxins and heavy metals that helps them proliferate. Thus, the best way to combat pathogens like viruses and bacteria is to first starve them of their favorite foods, something I discuss at length in Thyroid Healing. In my book, I share how to combat EBV specifically, but this information can also be applied to help address other types of pathogens as well. For example, medical communities believe celiac disease is an autoimmune disease, but this is inaccurate. In truth, your body is incapable of attacking itself. It is impossible for your immune system to harm a single cell in your body. I devoted a whole section of Thyroid Healing to sharing why there is so much misinformation and confusion around autoimmune diseases and conditions and why it’s the wrong answer to mystery illnesses like celiac disease. The true reason gluten is a trigger for celiac disease is because gluten is a favorite food for the bacteria streptococcus. When gluten is consumed, strep is strengthened and the lining of the colon is further inflamed. When it comes to gut and digestive disorders, it’s also critical to address the health of your liver. The liver plays a central role in gut health issues, more than medical communities know. First of all, the liver acts like a sponge to all the medications you take. Your liver absorbs the medication, which is a natural function because its role is to absorb toxins. However, unlike other toxins the liver is absorbing, medication takes quite a while to leave the body. Therefore, before it finally exits after many years, it can take up residency in your intestinal tract, causing more inflammation and disrupting peristaltic action. Other toxins that are stored inside the liver are heavy metals, like chromium, nickel, mercury, aluminum, copper, lead, and arsenic. There are also viral toxins, internal dermatoxins (which I explain in Thyroid Healing and are much different to the known versions of dermatoxins), viral casings (dead bodies of pathogens), pesticides, herbicides, fungicides, rodenticides, radiation, and solvents. Additionally, most people’s livers are loaded down with too much fat from their diet that becomes rancid and coagulates the exhausted organ. As you can probably guess, a healthy liver is vital in order to heal from a gut-related illness. When our liver becomes sluggish due to all the toxins, heavy metals, viruses, bacteria, toxins, and fats, it cannot produce the bile it needs in order to break down the fats that are slowly going rancid. The breaking down of fats and protein is an essential function of the bile from the liver and hydrochloric acid from the stomach. When fats and proteins start to rot in the intestinal tract and colon, it creates a feeding frenzy for the pathogens. Whatever viruses and bacteria are present at the time will feed and grow stronger and more difficult to fight when there is more fat and protein in the intestinal tract, which then inhibits the regular functioning of the digestive system. When we take away the food from the pathogens, the feeding stops and healing can begin. This is why many people on high fat, high protein diets have digestive issues, regardless of whether they eat animal fat or a vegan diet with too many plant fats. When there is too much fat and protein in the system, the liver is so overloaded that the only thing it can do is let the fat and protein go rancid. As mentioned above, a strong liver is required to break down fats. When our liver is overburdened by excess fat and toxins, it is not able to produce the strong bile that is needed to metabolize them. I will explain below that weakened bile production is the cause of most gut related symptoms and illnesses. The hydrochloric acid (HCL) from the stomach that is required to break down proteins is actually made up of a blend of seven different types of acid, which is unknown in the medical community. This is the reason tests are not able to accurately indicate the hydrochloric acid present in our bodies. Medical communities do not have the full understanding and knowledge they need to make correct assessments. If someone has a blend of the hydrochloric acid but not all seven, they will not be able not to properly break down proteins. This doesn’t mean you have to avoid protein altogether. There are healthy, bioavailable proteins in fruits, vegetables, and leafy greens. You can also eat some nuts, beans, and animal protein if you wish. Regardless of which diet you prefer, just try to lower your protein if you are wanting to heal from an illness so you can allow your liver to function as well as possible. For example, eat nuts, beans or animal protein once a day or every two days, and instead bring in more fresh fruits, vegetables, leafy greens, root vegetables like potatoes, sweet potatoes, and winter squashes. The true cause of colitis is an undiscovered strain of the shingles virus in the linings of the colon and small intestinal tract. Due to this virus, some blood vessels may rupture causing bleeding in addition to the inflammation caused by the pathogen sitting in the lining. Colitis is another gut related illness that is incorrectly considered an autoimmune disease. You can find out more about the true cause of colitis and how to begin healing in my book Medical Medium. Leaky gut syndrome is one of the most misdiagnosed conditions. The way true leaky gut is created is from a perforation in the lining of the intestinal tract or colon. Most of the time this occurs from a very common procedure - the colonoscopy. In a colonoscopy, a camera is inserted into the colon and pushed along to look inside. Sometimes the camera can snag on the colon and create a puncture, which then causes a fever and severe pain, landing the patient in the hospital for many days or even months. Other times, it’s a case of diverticulosis, where deep pockets in the colon can become infected by E. coli, streptococcus and other bugs. These pockets can break through the lining of the gastrointestinal tract and allow the pathogens to leach into the bloodstream. While the above are the only true leaky guts, tens of thousands of people with symptoms like fatigue, aches and pains, digestive discomfort, and acid reflux are being told they also have leaky gut. Using leaky gut as a label for these symptoms is a trend that has resulted in many people being given a misdiagnosis, and as a result, they are unable to move forward with real healing. What’s actually happening is something that medical communities aren’t yet aware of—ammonia permeability. I have helped many clients heal from ammonia permeability over the last few decades and I also brought it to light in my book Medical Medium. When someone is diagnosed with leaky gut syndrome, it is usually due to the liver weakening and becoming sluggish. The bile and blend of hydrochloric acid required to break down fat and protein are not strong enough to do their job. When the proteins reach your lower intestine, they won’t be broken down enough for your cells to access their nutrients. And instead the food will just lie there and rot feeding pathogens that are sitting in the colon and intestinal tract. This gut rot creates ammonia gas and can result in symptoms of bloating, digestive discomfort, chronic dehydration, or oftentimes no symptoms at all. That’s just the start. This ammonia gas has a ghost-like ability to go straight through your bones, skin, and out of you. You can read a full description of how gut health symptoms and other symptoms develop from ammonia permeability in Medical Medium. What I have just described is not actually leaky gut syndrome. If someone truly had leaky gut, they would be in the hospital potentially with a high fever. However, ammonia permeability is much more common. These days the word candida can cause fear in people because it is believed to be a negative thing and many are afraid of candida overgrowth. In reality, we need candida. Candida in and of itself is harmless. In fact, we can’t sustain life without it in our intestinal tract, and it helps protect us by consuming debris from poor quality food and toxins. In the process, this helps reduce the food supply available to truly harmful pathogens that would otherwise feed on this debris. It also allows absorption of nutrients into the bloodstream. The overgrowth of candida is not the problem; it is the indication of one. Candida can grow and become out of control due to bile salts becoming weak from an overburdened liver. The bile salts are not able to break down fats, the fats go rancid and make a home in the intestinal tract, and the bacteria feed off it. In other words, Candida cells intentionally consume food waste and poisons to prevent harmful bugs, such as E. coli, C. diff, and streptococcus, from feasting on these things and building their armies. The candida is activated to increase its strength because it is programmed to keep you alive. We do not want to kill off candida. We want to kill off the bacteria the candida is trying to fight. Candida can also co-occur with conditions such as Lyme disease, shingles, Epstein-Barr virus, herpes, diabetes, and more. Thus, a large build-up of Candida can serve as a warning sign that something else in your body requires attention—but Candida is often the scapegoat. For instance, a vaginal streptococcus infection could go unnoticed by doctors, while yeast that’s also present is blamed for the patient’s symptoms. Once you put an end to the primary issue, Candida levels will naturally return to normal. Irritable Bowel Syndrome is the result of a stagnant or sluggish liver along with a bacterial infection. Fats and proteins rot in the intestinal tract, which then causes poor digestion. An underlying streptococcus infection, which medical communities are unaware is the cause of IBS, becomes out of control and the inflamed colon begins to swell. The secum and illiocecal valve become inflamed due to the bacteria along with viral toxins in the intestinal tract, creating diarrhea and constipation. It is possible to have gastritis without having a lot of noticeable gas; in fact, it may be difficult to diagnose if you are only experiencing bloating and pain without moving any gas through. Sometimes there is sharp pain due to tiny pockets of gas that are so toxic that they hurt the nerves. There are so many nerves in our intestinal tract that the digestive system is very sensitive to toxins and pockets of gas that can cause pain. Many people with insatiable hunger are being told they have either hyperthyroidism or a mental disease. However, there are more people struggling with insatiable hunger than are dealing with hyperthyroidism or any other kind of thyroid problem at all. Insatiable hunger is actually a liver glucose deficiency. If glucose storage in the liver is low, a vicious cycle of constant hunger, binging, and, often, calorie restriction occurs, leaving the person feeling like they are weak and undisciplined. However, this disorder has nothing to with discipline or a weak mind. Rather, it is due to a lack of glycogen, also known as carbohydrates, in the liver. The best way to heal from this is quite simple: eat potatoes, sweet potatoes, bananas, dates, apples, mangoes, persimmons, winter squash, and other carbohydrate-rich foods to bring back your glycogen storage. Refrain from eating too many of the foods that your liver is having a difficult time handling, such as fatty foods. Too much fat in the bloodstream prevents glycogen from storing up in the liver. There are many trends circulating the health world that attract those who know the importance of having a healthy gut. While many of these trends were initiated with good intentions, people searching for answers to gut health fall into their traps and suffer repercussions. Sodium bicarbonate is one such trend that is touted as having the ability to make us more alkaline and drop candida levels. Unfortunately, this ill-informed remedy is much too harsh on the intestinal tract and liver to be healthy. In fact, sodium bicarbonate kills off the good bacteria that we need, rather than only fighting the antagonistic pathogens we want to eliminate. Stay away from diatomaceous earth particles as it is too abrasive for the intestinal linings. It saturates the linings, smothering the good bacteria that exists there, and does not exit quickly. Diatomaceous earth particles can create malabsorption and do not allow candida to do its important job. Avoid taking clays internally as, again, they are too harsh for the intestines. They are like severe sandpaper scraping the sensitive sides of the colon and small intestine; it rubs against it and does not clean it, as many believe. And when we eat, the food creates even more pressure as the clay is pushed into the linings more. Some people may question this understanding of clay consumption, referring to many creatures in the animal kingdom that are able to eat clay with no negative effects. However, your intestines are not built like a deer’s. A deer can eat many things that we cannot eat, like twigs, toxic leaves, and pieces of tree that have poisonous alkaloids that would severely harm us if we were to consume them. Therefore, refrain from making conclusions that because one animal can eat clay, we should be able to as well. Be careful with liver flushes and gallbladder flushes, which are very trendy, because our body does not like to be pushed in that way. They are best avoided. Instead, find consistent healthy habits you know you can sustain long term so you can find yourself at your destination of a truly happy gut with no chance of going back. You can refer to the Thyroid Rehab plan in my book Thyroid Healing and the 28 Day Cleanse in my book Medical Medium for ways to intelligently cleanse your body. These plans can be followed long term also. Celery juice is the first thing I always recommend to people when they have gut issues. It contains undiscovered mineral salts that build up hydrochloric acid, making it a powerful tonic that should be included into your daily morning routine on an empty stomach. Find out how to make it on the blog. Celery juice makes your liver stronger, which, as you now know, is behind so many gut health symptoms. If you do not like celery on its own, you can add a bit of apple and lemon to it but it’s most effective on its own. Drinking at least 4 ounces of celery juice daily, and ideally 16 ounces per day, heals the linings of your intestines, soothes nerves, eliminates poisons from the liver, and makes you less sensitive in your digestion process. Additionally, you can include plain cucumber juice daily. It’s best to stay away from eggs if you have a gut health issue or any health symptoms as they feed the very pathogens that you are trying to eliminate. Eggs, while often considered a perfect food by many, are a favorite food for viruses and bacteria. They create feeding frenzies and inflammation in the colon and intestines. One reason many people with gut problems consume eggs is because they feel it is one of the only things they can digest. However, there is something different going on when eating eggs compared to eating something like lettuce. When something you eat is painful, either slightly or more so, it does not mean you are not digesting it; it means it is hitting sensitive nerves as it is being digested. If your intestine is full of neurotoxins and inflammation, the nerves are primed and hot. Additionally, if you have Epstein-Barr Virus inside the liver or in the thyroid, it feeds off of pollutants, solvents, and toxins. Those poisons and toxins are released into your bloodstream then into the linings of the intestinal tract, making the nerves extremely sensitive. This is why when you eat something with fiber like celery, lettuce, cauliflower, or berries, it feels like you are not digesting it, when actually it is merely hitting the sensitive nerves as it is digesting. When you eat an egg, you feel like you digest it well because eggs do not touch the intestinal linings. They sit in the middle like a glue, not triggering any sensitive nerves, but they cause further health problems and will worsen your symptoms in time. You are able to digest fibrous foods. It just may feel a little uncomfortable when you eat them if your nerves are very sensitive. If it is too painful, try instead to eat things like avocado, ripe bananas, winter squash, steamed potatoes, and other steamed vegetables that are cooked so much that they are very soft. It’s also best to avoid all dairy products, as these also feed pathogens. Avoid milk, cheese, yogurt, and kefir, no matter if it came from a cow, goat, or any other kind of animal. There is a common trend that suggests fruit should be avoided if you have a gut problem. Fruit should actually be a food you enjoy in abundance when trying to heal from colitis, gastritis, IBS, SIBO, celiac disease, candida overgrowth, or leaky gut. Try making fruit the first food of your day, right after your daily celery juice. Also, eating fruit on its own is the best way to easily digest it and you may find you can consume more fruit when eaten this way. For breakfast, make yourself a large fruit platter of various fruits, like berries, a variety of stone fruit, or some tropical fruit if you have access to that. If you’re just eating fruit, you can consume a large amount of one kind of fruit in one sitting. Eat two or three ripe bananas, a half to one cantaloupes, two to four persimmons, a large handful of dates, or a big bowl of sliced oranges. Graze on grapes throughout the morning. Make yourself a smoothie for breakfast. Eating your fruit in the morning and then bringing other types of foods you eat later in the day will ensure better digestion. Banana and papaya are two of the most important foods to eat when dealing with gut issues. I have seen people recover from the most tragic health problems from eating banana and papaya, as they are among the greatest foods to heal the intestinal tract. Consider blending banana and papaya together with a little water for a restorative tonic. Blending celery juice with papaya is also one of the best tonics for gut health issues. If you still feel you are quite sensitive to fruit, just focus on getting a little bit in you every single day. Then you can slowly increase the amount of fruit you include as you begin to heal. You can also focus on bringing in more fruits like winter squashes, tomatoes, cucumbers, and bell peppers. Also, consider the possibility that fruit is not the culprit for your digestive issues, inflammation, or poor health. Sometimes we have indigestion or intestinal pain when we eat one thing, but it is in fact caused by something that we ate several days before. The fruit, like an innocent person accused of a crime, is in the wrong place at the wrong time. Perhaps you ate something a couple days before; then you take a bite of fruit, which then triggers peristaltic action and moves the previous piece of food down lower in your intestines to an area that is inflamed. The unhealthy foods we know we should avoid actually take very long to digest, which is why sometimes it can remain in our colon and intestines for days after consumption. Fruit, on the other hand, digests very quickly and efficiently. Therefore, do not blame the apple for any indigestion you may experience and remember that fruit is your greatest friend when healing from gut issues. Many people these days buy expensive probiotics because they heard they are good for gut health. Probiotics are not unhelpful. There are some probiotic supplements that I recommend to those who are interested. However, there is a much more important biotic that most people are unaware of, and it is vastly less expensive and more down to earth. Elevated biotics are microscopic, life-giving organisms that cover the above-ground surfaces (leaves and skins) of raw, unwashed (or lightly rinsed) organic produce. The elevated biotics’ probiotic film can make a world of difference when it comes to digestion. Unlike factory-produced probiotics and soilborne organisms, elevated biotics are able to survive your digestive process and make it to your ileum, the final section of your small intestinal tract that creates the vitamin B12 critical to your body’s functioning. 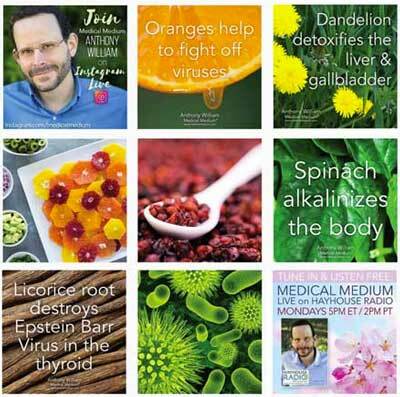 You can read more about Elevated biotics in my book Life-Changing Foods. If you want to take part in this amazing gut saver, you have plenty of options. First, get yourself to a farmers market near you and introduce yourself to the farmers. Begin asking about their growing practices and see which farmers take the most care in their organic farming. Remember, many small farms cannot afford to label themselves organic, but their practices might be even better than the organic standards of the USDA. The more produce you buy from these farms, as well as certified organic farmers from your market, the better. Not only are you supporting local farmers who are working hard to produce quality food for their communities, you also get to take advantage of the powerful elevated biotics that sit on the leaf of the kale, on the skin of the apple, and on the fuzz of the peach. When you buy, for example, an apple from a trusted organic farmer, there is no need to scrub that apple clean, otherwise you would wash off all the elevated biotics. However, if there is a bit of soil on it, feel free to give it a light rinse or rub it off with your fingers. Your other option to find ways to get elevated biotics in your system is to grow some of your own food. I know it can feel intimidating if you are not an experienced gardener. However, there are many simple things you can grow, even if you do not know what you are doing or if you have no backyard. Grow sprouts on your counter. They take one minute a day to manage and the outcome is an entire tray full of delicious sprouts you can put in your salad or even in your smoothie. Herbs are often very easy to grow on your windowsill. Basil, rosemary, thyme, and oregano only take minimal space, and they can double as pretty houseplants. If you do want to put in the extra effort to set up some raised plant beds in an outdoor space available to you, you will receive many benefits from growing some of your own food. Furthermore, you will probably grow a greater appreciation for the nurturing required to grow fruits and vegetables. If you have a chronic digestive disorder, or even if you just have so-so digestion that you know can be improved, I am sure it is important to you to get your digestive health back. Constipation, bloating, and diarrhea are painful and disruptive to our day-to-day lives, which is why I hope you can take the information you learned today and begin to move forward. Remember that the first step to finding true healing in great digestion is to know that your body is working for you; you just have to give it the right tools to fight the pathogens, strengthen the bile in the liver, and restore hydrochloric acid. Working on your gut health is a process of consistent daily habits. Healing is a long term process, not an overnight one. With this in mind, we can begin to take at least one step a day we know is bringing us closer to healthy digestion. Did you know that thyroid conditions like Hashimoto’s, hypothyroidism, and hyperthyroidism are still mysteries to medical science and research? Their true cause and therefore the steps required for healing are not yet known. Although they have the best intentions at heart, medical doctors and other health practitioners are giving recommendations about these conditions and many others without knowing what’s really behind them. As a result, people are being given inaccurate diagnoses and they don’t have the correct knowledge and information they need to truly heal. Below I will share what’s really behind these conditions. You can also read more about them and over a hundred other symptoms and conditions in my book Thyroid Healing. The first thing to recognize is how powerful it is simply to know the truth behind your symptoms or conditions. If you have been given a confusing autoimmune diagnosis and have been told that your body is attacking itself, you may already feel disempowered and hopeless. I am here to share with you that your body is not attacking itself. Your body is on your side and is fighting for you every day. It never attacks itself. This is a misguided theory that has become a belief that is pervasive today and it’s damaging to your health and your loved ones health. You can learn more in Thyroid Healing. I am also going to tell you the true cause of your thyroid condition. When you know the true cause of your symptoms, only then can you truly begin to heal, recover your health, and gain your life back. For almost all cases of Hashimoto’s, hypothyroidism, and hyperthyroidism, the true cause is a pathogen in the body that’s attacking the thyroid. That pathogen goes by the name Epstein-Barr Virus (EBV). Therefore, your thyroid is not behind your symptoms. It’s the virus that’s infected your thyroid and creating problems and not your body turning against your own thyroid, which is what medical communities mistakenly believe is the cause. The thyroid is not the cause; it is another victim of the true cause—the virus. And your body is not attacking itself, but it is wisely attacking the virus that is creating the symptoms you are experiencing. When you finally understand that your body is fighting for you, not against you, and that you have an unwanted pathogen in your system, your immune system kicks into gear and begins acting even more efficiently for you and your well-being. This is critical to understand because of all the misinformation floating around today that is preventing people from healing. Simply knowing and understanding deep within your being that your body is on your side and is fighting a virus, not itself, is the very first powerful step toward achieving true health. This is why knowing the truth is so powerful and essential for your healing. When you experience symptoms from Hashimoto’s or hypothyroidism, they’re not caused by the thyroid as I just shared. Rather, it’s EBV causing these symptoms. When the thyroid itself is functioning properly, there are actually very few and minor symptoms that result, such as temperature fluctuations. This is because T3 and T4, the only known hormones in the thyroid, are not actually as important to our overall physical well-being as the medical world believes. T3 and T4 are currently, and incorrectly, considered to be the hormones that sustain our livelihood. However, even when some people have normal hormone levels, they still experience symptoms that are associated with Hashimoto’s such as weight gain, weight loss, hair falling out, aches, pains, night sweats, mood swings, brain fog, and fatigue. It is not the hormone levels that are of ultimate concern, although, of course, it is important to maintain healthy levels of T3 and T4. The real reason behind these symptoms is the Epstein-Barr virus causing a low grade infection that’s not detected by medical communities. All of the above symptoms and many more are actually viral symptoms—some of them symptoms of the virus still living back in another organ such as the liver—not thyroid-caused. In Thyroid Healing, I explain in great detail about the two thyroid hormones that are yet to be discovered. These hormones, R5 and R6, are vastly more important to our health and well-being than T3 and T4. I also explain how EBV comes to infect the liver and other parts of the body and create these symptoms. Hashimoto’s thyroiditis is a more advanced version of hypothyroidism. While some sources will say it’s the other way around—that Hashimoto’s causes hypothyroidism—that’s not the case. And what you have going on in your life, from other stresses on your immune system to diet to the triggers I share in Thyroid Healing, will determine how fast the virus may move from hypothyroidism (slight damage to and underperformance of the thyroid) to full-on Hashimoto’s (a severely inflamed, more damaged thyroid). Childbirth is an especially common trigger for Hashimoto’s, which is why you’ll hear of many new moms developing the disease either directly after giving birth or even up to one to three years later. When someone has hyperthyroidism, EBV is specifically going into the thyroid, which eventually accelerates tissue growth. EBV is attacking the thyroid so feverishly that the gland grows more tissue to protect itself, and, as a result, to produce more hormones. When you understand that this is actually a protection method and what’s causing the symptoms, you can then take the steps needed to eliminate EBV from your body and begin healing. It is often thought that those with hyperthyroidism cannot gain weight, yet there are many people with this disease who are living with unwanted pounds. They are often told they are an anomaly. However, it is not uncommon. Those who gain weight with hyperthyroidism do so because they have a different variety of EBV, possibly more than one variety, that is sitting in their liver. Over time the liver becomes sluggish due to viral matter and toxic build up. It’s important to understand that it is this sluggish liver that causes the weight gain, not the thyroid. Now that you are aware of the true cause of Hashimoto’s, hypothyroidism, and hyperthyroidism, you can focus on the steps to take for healing. In my book Thyroid Healing, I explain triggers to avoid and healing foods for these conditions. In my article and webinar called Foods that Heal Thyroid, I give examples of powerful foods that fight EBV, restore and protect the thyroid, and keep the thyroid balanced. I also have an article and radio show also called Thyroid Healing in which I talk about how to eliminate EBV and support the thyroid. In this post, as well as in the supplements section of my book. If you are not ready to start including healing foods into your diet, either for monetary reasons or simply because you are anxious about including things in your life you are unfamiliar with, I understand. Just knowing that your body is fighting a pathogen and not attacking itself is such a powerful step forward. Your body loves you unconditionally and is working for you, not against you, every single day. When you read Thyroid Healing, you will have even more information that can aid in your healing, Just remember to have compassion for yourself and remind yourself every day that your body is on your side. Are you or anyone you know suffering with a condition like Hashimoto's thyroiditis, Graves disease, hyper or hypothyroidism, or hyper or hypoparathyroidism, fibromyalgia, restless legs syndrome, PCOS, endometriosis, or perhaps you’ve had or currently have thyroid cancer? Or perhaps you or a loved one struggle with a symptom like hair loss, insomnia, heart palpitations, brain fog, vertigo, fatigue, depression, dry skin, anxiety, weight gain, weight loss, weak nails, nerve pain, aches and pains, concentration and memory loss, chills, cold hands and feet, puffy eyes, puffy face, constipation, insatiable hunger. or other unexplained symptoms or illnesses? If so, you may have been told that it’s because of your thyroid or hormones. The truth is that none of these health problems are actually caused by your thyroid or even your hormones. There is much more to understand than what medical science and research currently knows. Plus, both medical and alternative health communities do not yet know exactly what’s behind these conditions. Unfortunately, chronic illness is growing at an alarming rate with no signs of slowing down. Even if you don't have any of these symptoms or conditions right now, it's important to learn the tools you can use to protect yourself and your family so you can help prevent getting sick in the future. There are answers, and it's my job to do whatever I can to get never before heard knowledge into your hands so you and your loved ones can regain your freedom and the lives you're here to live. You are not meant to be in the dark with no answers for why you feel the way you do. You didn't create this and you don't deserve it. In my book Thyroid Healing, I reveal the true causes of more than a hundred symptoms and conditions plaguing so many people today and how you can heal. If you’re an avid reader of health books and articles and you think you’re aware of the latest thyroid health information, you’re going to be more than surprised—maybe even shocked—at how much more there is to know. Thyroid Healing is like nothing you have read or heard, and it will bring you true comprehension of the undiscovered inner mechanics of our thyroids for the first time ever. Today I will explain a few of the core truths about thyroid health. The true reason so many people are plagued with thyroid problems is something I have been talking about for decades: Epstein-Barr Virus (EBV). Medical communities and alternative health experts are unaware that EBV, which I call the “thyroid virus”, is behind 95% of thyroid problems. It’s not just a trigger for people who are already dealing with a chronic illness or even a thyroid condition as some believe. A trigger is not a true cause. Medical communities and experts believe that a virus can trigger your body’s immune system to attack healthy cells in your thyroid or body, much like mold does. This is a lazy mistake and one of the greatest medical blunders of all time that will hinder the health and lives of generations to come. It stops progress in medicine and keeps chronic illness around for decades to come. The virus is the true cause. This is a subtle but serious critical difference in knowledge that’s essential to understand so that the opportunity to heal is always there for you and the ones you care about. Mono, which is the only understanding of EBV that medical communities have, is only Stage Two of this virus. In truth, the virus has four stages, the third of which targets the thyroid gland. When EBV invades the cells it creates inflammation. It’s not the antibodies created by your immune system that are causing the problem. The autoantibodies present are created by your immune system to fight off EBV and never your own cells, glands, organs, or thyroid in the case of Hashimoto’s thyroiditis. Your body is using its infinite wisdom and resources to protect and heal you, not attack you as the autoimmune disease theory suggests. This mistaken theory comes from a very old agenda that has been bought and paid for long ago in the 1950s and grandfathered in to modern medicine. As a result, we now tragically have well-meaning autoimmune experts guiding and teaching people with incorrect information that can hinder healing. The truth is that your body is on your side. Your body is always working for you. Your body wants to heal. Knowing this truth is so powerful that it can ignite healing all on its own. Your immune system fires up and goes after the virus when you really know what’s behind your health problems. One day, medical science will take into account that by the time a pathogen invader has started to cause chronic illness in a patient, it has usually burrowed so deep into that person’s organs or glands that the pathogen doesn’t normally or easily show up on traditional blood tests because the pathogen is no longer in the bloodstream—so it appears to be a bodily malfunction. What has really happened is that the virus has moved into a later stage of infection deeper inside the body where it’s undetectable by current testing methods. But an antibody can sometimes be found in the blood and this discovery decades ago prompted the misguided autoimmune theory mistake instead of finding the virus and knowing its path and course. This early mistake in medicine blamed your body as being the problem and that is still sadly and mistakenly being carried on to even today’s alternative medicine, even by our best renowned experts. Radiation is the other cause of thyroid problems, but only a small percentage of people experience enough radiation for it to do any true damage, which is why it accounts for only around five percent of cases. Radiation can come from dental x-rays, plane travel, cat scans, and other forms of radiation that we can be exposed to every day. Medical and alternative health communities are not yet aware of what the thyroid truly does and how it functions. The current understanding they have of this gland is severely limited. They believe that the thyroid exists purely to manage metabolism and control hormones in the body. They also believe that the thyroid is mainly responsible for producing just two hormones—thyroxine (T4) and triiodothyronine (T3), and managing two thyroid related hormones—thyroid-stimulating hormone (TSH) and thyrotropin-releasing hormone (TRH). While these hormones play a part in the thyroid’s function, there is so much more to know about this miraculous gland, which I share in detail in my new book Thyroid Healing. Medical research and science only theorize about the impact of T4 and T3 on health. The functions of these hormones can’t be weighed or measured in any lab or study yet. T4 and T3’s physical purpose is still a medical mystery. One of the chemical functions of the T3 and T4 hormones is to help balance the immune system, which is why EBV likes to go after them on its path to hurt the thyroid. Once these hormones diminish, there are relatively small symptoms, such as temperature fluctuations. Abnormal T3 and T4 hormone levels are not to blame for the myriad of thyroid symptoms they are believed to be today, from aches and pains all the way to brain fog. Of course, we want T3 and T4 at adequate levels and normalized because we want our immune system to be working at its maximum level, but there are undiscovered hormones that we need to pay more attention to. Your thyroid’s true function and purpose is actually much more interesting than the modern medical understanding of it. Truth is, your thyroid is your body’s data center. It is your second brain. It catalogues the balances of the body, which is like receiving complaints from the various organs and systems. Then it regulates the two undiscovered frequency hormones—I call them R5 and R6—which are yet to be discovered by scientific research. These are extremely powerful hormones that are involved with sending out the thyroid’s radio-like frequencies that promote homeostasis throughout the body. These undiscovered hormones play a much larger role in thyroid disease and symptoms associated with Epstein-Barr Virus. When EBV is cleared out of your system, your hormones will stabilize, and these symptoms will fade. You can discover more of the unknown truth about these hormones in Thyroid Healing. A problem many people with thyroid disease unknowingly have is a sluggish liver. This can often result in part from taking thyroid medication long term. It can also be because of EBV’s toxins in the liver, along with other toxins like pesticides, solvents, and heavy metals. A sluggish or stagnant liver can also result from a diet too high in fat or processed foods. In the case of medication, the liver absorbs it and becomes overburdened. In fact, the liver absorbs so much of the medication that people often need to return to their doctor several times to continue to increase the dosage. I created month to month cleanse that’s included in Thyroid Healing for exactly this purpose: to clear out the liver and strengthen it again. It is said that everyone with hyperthyroidism cannot gain weight, but this is not true. Many people with hyperthyroidism do have unwanted pounds or gain weight eventually. This is because there are two varieties of EBV that could be in the thyroid at the same time. The liver gets really sluggish from EBV’s byproduct, neurotoxins, dermatoxins, and other poisons, which can result in weight gain, while another strain of EBV in the thyroid is causing hyperthyroidism. This is why symptoms may not match what you’d expect from what your doctor or health practitioner has told you. Insatiable hunger often associated with hyperthyroidism is actually caused by a liver glucose deficiency caused by EBV inside the liver. You can read more on hyperthyroidism in Thyroid Healing. It’s critical to remember that a trigger is not the cause of a thyroid condition such as Hashimoto’s thyroiditis, hypothyroidism, or any other thyroid or so-called autoimmune conditions. Believing a trigger is the cause is a great mistake. 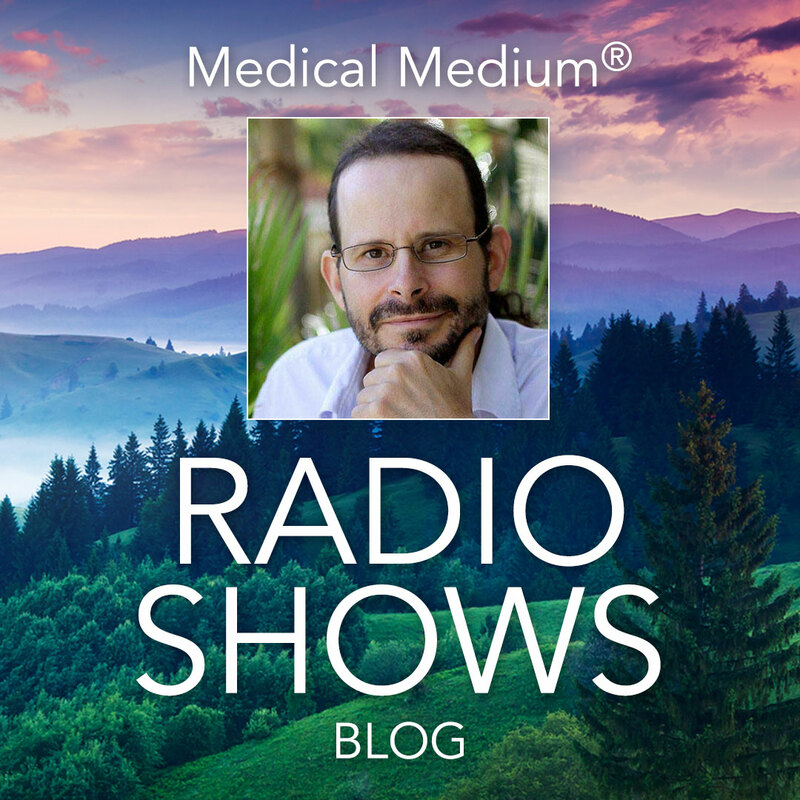 I talk about the great mistakes in medicine that are affecting people's ability to heal in Thyroid Healing. The cause is EBV. Triggers can simply strengthen EBV and lower the immune system so that symptoms worsen or new symptoms show for the first time. Some of the these triggers include exposure to mold, toxic heavy metals like mercury, pesticides, and insecticides. They can also include a death in the family, a broken heart or betrayal, taking care of sick loved ones, carpet cleaning, fresh paint, insomnia, and more. I include a full list of triggers in Thyroid Healing. These triggers lower the immune system and allow EBV to make its way throughout the body. Of course, many of these triggers are difficult to avoid. So the priority lies in ensuring your immune system can handle it when you are exposed to one, for example, a relationship break up. There are many foods that support healing of thyroid problems. First, I want to debunk another myth surrounding the thyroid. Many people are told that if they have a thyroid problem, they should avoid cruciferous vegetables because of the goitrogenic compounds. The cruciferous family, also known as the brassica family, are sulfur-rich vegetables such as kale, cabbage, cauliflower, broccoli, and brussels sprouts. This is an incorrect theory which has become a popular belief today. If medical and health professionals do not actually know what is the cause of thyroid disease, how will they be able to tell you which foods to eat and which foods to avoid? Here is the truth regarding goitrogenic compounds. You literally cannot get enough of them in your diet in order to harm the thyroid. In fact, there are undiscovered anti-goitrogenic compounds within the same foods that cancel out the goitrogenic compounds. The brassica family of vegetables is actually very healthful and good for your thyroid, especially when you are focused on healing a thyroid problem. The phytochemical compounds within these foods help eliminate EBV. These phytochemical compounds actually have ghost-like qualities, which allow them to move through organs and glands to harm pathogens. Foods that should be eliminated or reduced in your diet are anything that feed EBV. Medical science and research are still unaware of this truth that viruses feed off of foods and toxins to proliferate. For example, eggs are the number one food that gives fuel to viruses, specifically Epstein-Barr Virus. I go into greater detail about what foods to avoid and what foods to include in Thyroid Healing. I also have a whole section full of recipes that will aid in supporting and healing the thyroid and eliminating EBV. Something else to keep in mind is that when an expert gets you off foods like gluten and your symptoms start to reduce, they do not understand why your symptoms are going away. It is not because gluten was harming your thyroid. It is because gluten was feeding the Epstein-Barr virus. The symptoms you are or were experiencing are Epstein-Barr symptoms, not problematic thyroid symptoms. If you get rid of foods that feed EBV in the thyroid, liver, and other parts of the body, your symptoms are going to improve. When taking supplements to heal from thyroid disease, it is important to look at a combination of supplements that support the thyroid and those that eliminate EBV. I share the best supplements with you in Thyroid Healing. Here are just a few of the supplements that are included in the book. Vitamin C as Ester C or Liposomal C are important to include because they work to remove EBV from the liver. Zinc is one of the most important minerals to include because many people are zinc-deficient, which lowers the immune system for one, and it will help knock down EBV. Cat’s Claw, a supplement that is finally more available in the world today, is another important one to take to knock down viruses such as EBV. It can also be very important to consume the five heavy metal detox foods I share about because EBV feeds on heavy metals. A little bit of sea vegetables and a little spirulina are very helpful. Iodine is an antiseptic that kills off EBV. If you are consistent with these supplements and the ones I discuss in Thyroid Healing, you will be on your way to healing from the thyroid virus and removing the heavy metals that feed the virus over time. Now that you know what the true cause of your thyroid problem is, your body will be working harder than ever for you to address it. You also now know exactly what you need to target and can adjust your diet, supplements, and lifestyle to do so. It is much better to know that there is a bug you need to eliminate than to believe your body is attacking itself or that your genes are to blame—both of which are incorrect and harmful belief systems. Use the information I provide in Thyroid Healing to become a thyroid expert and begin taking steps to consistently knock down EBV and take your life back. You can get rid of your symptoms. You have the power to heal and move past this so your thyroid does not atrophy throughout the years. I know people do not want to be prisoners to medications for decades, or prisoners of a belief system that was never true in the first place. This can be your way out. I am here for you, and I believe in your ultimate healing. If you suffer with insomnia or sleep issues, you’ll know how debilitating it can be. Poor sleep over and over again can make you feel like you’re going to mentally and physically breakdown. You may even question how you will get through each day. I truly understand how hard it is to live with sleep issues. Even if you wouldn’t list insomnia or sleep disturbance as one of your chronic issues, learning how to harness sleep so it can be the most healing it can be is a critical part of looking after your health now and in the future. Thankfully, there are answers for you. You can heal and sleep soundly again. If you look to conventional medicine with questions about your insomnia or other sleep issues, you may be told a number of possible reasons for why you can’t sleep. And some of them may carry some truth. Your doctor or health practitioner may say the cause of your sleep problems are grief, anger, anxiety, depression, worry, restless legs, or chronic pain or you may be told you have sleep apnea. All of these things can be a part of the challenges you are having. But there’s much more to understand. For example, what is truly the reason behind your restless legs, depression, anxiety, and aches and pains. In the following article I will explain the truth behind chronic and mysterious sleep conditions. In my book Thyroid Healing, I have an entire section dedicated to this important topic because it’s so critical you and your loved ones get the answers and support you need so you can get the deep, healing sleep you deserve. When your anxiety and depression are not connected to your circumstances, it can be frustrating not to know or understand their causes. In addition, when you are having sleep issues and you cannot connect it to anything at all, it can be even more disheartening. Lying awake with no answers can create even more anxiety and make falling or staying asleep all the more elusive. At times, someone who is having sleep issues will get an answer from an expert, which will temporarily relieve the person from the confusion. Perhaps that person will even be able to sleep for a week or more because their sleep challenges feel like less of a riddle. However, many times the answers we get from conventional medicine and alternative health communities are not the right answers, and therefore don’t offer a true solution for healing. In many cases, the misinformation we may receive from well-meaning health practitioners may actually lead us further astray or result in even more struggle and confusion. The inability to sleep is still one of the greatest mysteries to modern medicine today. For example, many people with sleep problems are told that they are having trouble with their thyroid, and that is what is keeping them awake. The truth is that a thyroid problem is not going to keep you from sleeping. But you can lose sleep if you’re worried about having a thyroid problem. Many people lose sleep when they first get their diagnosis of Hashimoto’s thyroiditis, hypothyroidism, or hyperthyroidism because they’re told their body is attacking its own thyroid. But this is a great mistake by medical communities. Your body never attacks itself. It loves you unconditionally and is always working for you. I address this mistaken theory in detail in Thyroid Healing. Someone also may not sleep if they’re worried about having thyroid surgery. But your thyroid itself is never going to create insomnia. It’s not possible. Unfortunately, it is very common for people to be told their sleep disorder is because of their thyroid. This new, recent blame game on the thyroid is so prevalent right now that I address it extensively in Thyroid Healing, along with the true causes of insomnia and other sleep disorders. My goal is to cut through the misinformation and confusion which is preventing people from having the health and sleep they desire and bring the real truth to you. You deserve to know what’s really happening in your body. It is critical to understand our sleep disorders and exactly what is happening in the body so we can begin to take steps toward healing. We have to locate the target before we can go after it. It’s almost impossible to effectively and fully heal a symptom or condition without understanding it. Even if you have healed a symptom or condition before without knowing it’s true cause, it’s possible it could come back later in life or the unknown root cause could be creating another symptom that you are unaware is actually related. This is why the answers to our health problems we receive from science and research are so lacking—they don’t know the true causes of chronic mystery illnesses like insomnia and other sleep disorders in most cases, so how could they know the correct treatment? Everyone experiences sleep problems in vastly different ways. Read the following descriptions and take note if one or more of them apply to you. 1. You cannot fall asleep at first, then eventually you fall asleep after several hours. When you wake up in the morning, you do not feel well rested because you could not fall asleep right away. 2. You fall asleep right away, but you wake up in the very early morning unable to fall back asleep before it is time to get up. You get a racing mind as the sun starts to rise and anxiety because you are unable to fall asleep. 3. You initially fall asleep easily, but then you wake up in the middle of the night unable to fall back to sleep until the early morning when you fall asleep again. 4. You are in and out of a miserable sleep all night long because you never fall into a solid restful state. You keep getting the frequent urge to urinate, which gets you out of bed over and over. 5. You cannot sleep the entire night, and when morning comes, you feel completely exhausted and crash at various times throughout the day. You may or may not attempt a quick nap here and there. Then when it is time for bed, the whole thing starts over again. 6. All throughout the day you are exhausted and you struggle with all your tasks, and all you can think about is the next chance you get to lie down and close your eyes. All you want to do is go to bed. When nighttime hits, you are suddenly awake and it is difficult to wind down enough to get to sleep on time. 7. You are able to fall asleep and stay asleep for a full night, only you wake up feeling like you need another eight hours. Maybe your loved ones report that you snore or you have very shallow breathing throughout the night; they say you woke yourself up snoring, which makes you come to understand that your sleep is broken all night. 8. Just as you sink into deep sleep, a jerk happens. Either your arm, neck, head, or leg jerks and it wakes you up again. Sometimes you can bypass it and you can fall asleep. Or you wake up in the middle of the night to urinate and then you go back to bed and can’t fall asleep because the jerking occurs once again. 9. You are tired and ready to go to sleep, except there is a weird buzzing sound or another symptom keeping you awake. This can be either tinnitus, restless leg syndrome, itchy skin problems, or aches and pains. While many experts today will lump most of these sleep disorders under thyroid problems, this is a trendy trap that you need to be aware of so you don’t fall prey to it and start addressing an issue that isn’t even the cause. Sleep issues have nothing to do with the thyroid. Below I will explain the true reasons for insomnia and other sleep issues that medical science and research are unaware of. No two causes of sleep problems are the same, just as no two sleep disorders themselves are the same. While people’s sleep issues may be very similar to each other, they will never be identical. Keep this in mind as you learn about your own insomnia or other sleep challenges. One possible cause stems from a liver that’s overheated, stagnant, or sluggish from toxins and a diet too high in fat or processed foods. The best way to have a full understanding of your liver and how to support it is to read Liver Rescue. The liver could also be inflamed because it is trying to fight one or more pathogens (viruses and bacteria) that have nested in the liver for many years, even decades, and they are releasing neurotoxins and dermatoxins. Research and science have not yet discovered that pathogens releasing these toxins are the cause of many symptoms and illnesses. When you go to sleep for the night, your liver shuts down operation and runs on autopilot. By around three or four in the morning (it’s different for everyone), your liver starts to wake up again and once more begins to process poisons, viruses, and debris (such as dead cells, including dead red blood cells.). If you have a sluggish liver, then as the liver tries to do its job at this time, it goes into subtle spasm. Most of the time, it’s not anything you can feel, but for some people it’s enough to wake them up. This accounts for those nights when you fall asleep normally, then suddenly you’re up again in the early morning hours, and after a certain period of time, you’re able to nod off again. This can also explain those miserable nights of sleep where you drift in and out the whole time. Sleep issues caused by something going on in the liver tend to be present in someone dealing with a thyroid issue, not because the thyroid is causing the problem but because thyroid issues are also caused by EBV. This is something I discuss at length in my book, Thyroid Healing. Viral issues are one of the major causes of trouble with sleep. The Epstein-Barr virus, shingles, cytomegalovirus, HHV-6, and even some bacteria can poison our systems and keep us up at night. That’s because viruses such as Epstein-Barr excrete neurotoxins, which can create the issues of not being able to fall asleep for hours, or waking in the middle of the night and not being able to fall back asleep. Viral-caused insomnia is often mistaken for a thyroid issue, because, as I said, it’s common to experience insomnia and thyroid trouble side by side. It’s not because an under or overactive thyroid causes sleep issues, despite what you may hear from other sources. If someone has MSG or toxic heavy metal deposits speckled throughout the brain, which is extremely common, these alone can keep a person from getting quality sleep. Mercury deposits are what cause OCD, Tourette’s, anxiety, depression, and much more, which, when coupled with a pathogen like Epstein-Barr Virus, can only make things worse because the virus is feeding off of the mercury and releasing more poisons, such as neurotoxins. Medical communities are unaware of just how prolific this virus is and the hundreds of symptoms and conditions it causes. I share the reasons why research and science have missed just how much EBV is responsible for in Thyroid Healing. They are also unaware that viruses feed off toxins like mercury, which allows them to strengthen and thrive and create further issues. Some people have digestive sensitivities, which are actually connected to the nervous system because nerves are attached to every part of the colon. As food moves through the intestines, it hits those sensitive nerves throughout the night. Sometimes it is so subtle it is barely noticeable but it can be enough to disrupt your sleep. Even if there is no pain or gas in your gut, these digestive tract sensitivities may be related to your sleep disorder and you simply are not aware of it. Sleep apnea can occur if you have a sinus problem or a post nasal drip. It can also occur if you are overweight and lying down, which may put pressure on the chest and throat, prevents proper breathing from taking place during sleep. The third kind of sleep apnea is a mystery to modern medicine. In this case, it is a neurological sleep apnea where the brain is sending out incorrect messages to the vagus and phrenic nerves using electrical impulses and neurotransmitters that are being weakened or interrupted by toxic heavy metals or viral neurotoxins. Another potential cause for sleep issues occurs because of a high stress lifestyle that pumps adrenaline into your bloodstream all day. Adrenaline keeps you up until very late and then by the time you wake up in the morning you are exhausted. These are just some of the reasons why your sleep may be suffering. Other possible causes I address in detail in Thyroid Healing include anxiety, which is not as self-explanatory as you may think, emotional wounds, and other neurological issues. There is a common belief floating around that once you miss an hour of sleep, that sleep is gone and you can never make it up. You can never get it back. This is false. The truth is that we have a divine sleep account that is owed to us from the minute we are born. Every time you miss a minute, hour, day, or week of sleep, that time is automatically put into your sleep account to save for a later date. All is not lost. Those three hours of sleep you lost the night before are not gone forever. They are waiting for you in your very own sleep account, controlled and maintained by the Angels, and you will get them back some day. It is a misguided belief that you cannot catch up on sleep or gain your sleep back. Once you’re able to target your sleep issue and begin to heal by restoring your liver, detoxing the MSG and heavy metals, mending your digestive tract, healing your adrenals, or eliminating EBV, get ready. Because your sleep account is waiting for you and you are going to enjoy plenty of restorative, healing sleep. It’s your divine right and one of the unknown universal laws. There is so much we can do to heal viruses, work on our digestive and liver problems, and detox from heavy metals, MSG, and other toxins that could be contributing to your sleep issues. I go into further depth on what’s behind your sleep issues, how you can heal from them, why bad dreams are good, which foods and supplements are the most helpful for healing, and so much more in Thyroid Healing. Sleep is so important for healing and yet it can be impossible to sleep when you have any of these issues. It can seem like a catch 22. That’s why it’s so critical to know about the Sacred Sleep Window. Between 10 p.m. to 2 a.m. your body does most of its healing. If you are able to sleep during that period, your body is healing at an accelerated rate. Even if you only catch 10 minutes, those 10 minutes will be potent. The restoration your body performs in that snippet of time will power you through on your path to healing. If you’re not able to sleep during this window, even lying down with your eyes closed will allow your body to continue healing. This is because even if you are still conscious, part of your brain is asleep. If you work night shifts or just have a lot of difficulty lying down in this window, you can nap or lie down with your eyes closed between 10 a.m. to 2 p.m. This four hour daytime window is the equivalent of the 10 p.m. to 2 a.m. for healing. The Angel of Sleep is always there for you if you need her. Whenever you’re seeking guidance or comfort, speak her name aloud and ask for her help. She’ll aid you in your path to a better night’s sleep, whether because of a health issue or an emotional trial. The Angel of Sleep will watch over you as you travel to the land of the subconscious. I know how frustrating and debilitating sleep problems can be. We tend to beat ourselves up when we are unable to get restful sleep, and it is very easy to blame ourselves. Stay light-hearted and know that the answers are now here for you. The information here and in Thyroid Healing is here to help you move forward and finally get the sleep waiting for you. It can take time to resolve a sleep issue. It will take time for your body to cleanse itself of toxins, heal, and rebuild, so in the meantime, remind yourself of the laws of sleep: that your sleep account is waiting for you no matter what and that you deserve healing sleep. On top of this, you can help yourself navigate whatever rocky nights come your way with the foods and supplements I share in Thyroid Healing, the Sacred Sleep Window, and the Angel of Sleep. Soon enough, you will be able to take full advantage of your sleep account and cash in on countless nights of restful sleep. Bell’s palsy is a relatively common condition that can show up in a myriad of ways. The face may droop in the eye, nose, or mouth area. It may droop on one side or on both sides. It can last only temporarily or for many years. At times it is very painful; other times there is no feeling at all. Sometimes Bell’s palsy affects more than just the face leaving doctors baffled. Oftentimes, when this happens, the person with the condition will be misdiagnosed with multiple sclerosis (MS). Unfortunately, these labels are just names that have been given to a set of symptoms that are still a mystery to medical communities. The true cause of both Bell’s palsy and MS are not known by medical science and research, and consequently, they do not know how to effectively address these health problems either. I was the first person to point out that Bell’s Palsy is a viral issue; in particular, Bell’s palsy is caused by a specific undiscovered strain of the shingles virus. Medical communities are not yet aware of this truth. If you or a loved one have suffered with or are currently suffering with Bell’s palsy, you now have the answer to what causes this condition and the information I am sharing with you here can help you take steps toward recovery or preventing further health problems caused by the same virus. In medical research and science, only one variety of the shingles virus is known. If someone contracts a rash that is red and painful and it’s considered a textbook shingles rash, this is very easily diagnosed. However, there are 31 undiscovered varieties of shingles that I’ve brought to light (see my book Medical Medium for more information) and sometimes the virus does not manifest itself as a rash at all. Or someone may have a variety that develops a rash but they may also have other mystery symptoms that medical communities aren’t aware are caused by the shingles virus also. In some cases, the virus won’t result in a rash, but will show itself as Bell’s palsy. It’s also possible in a small amount of cases that someone with Bell’s Palsy will also experience a shingles rash, but in the majority of cases no rash will be present. The variety of the shingles virus that causes Bell’s palsy probably will not be discovered for another 30 to 40 years. And if the current trend of medicine and research focusing only on genes continues, then the cause of Bell’s Palsy may never be discovered—ever.This, plus the fact that shingles is still only identified by it’s signature rash in medical communities, is why patients do not hear about shingles when they visit their doctor or health practitioner with Bell’s palsy and many other symptoms. This particular variety of the virus tends to attack the trigeminal nerve or facial nerves, which are the nerves responsible for sensation in the face and motor functions such as biting and chewing, and the droopiness known as Bell’s palsy is not the only thing that the virus may cause. Because the virus doesn't always hit its mark, it can also affect the gums, teeth, and mouth, and even cause pain in the ear. The virus often hits different parts of nerves or misses the nerves to the face altogether. Many people go to the dentist to find a solution to their mouth pain, which resulted in pulling out teeth, only to find the pain did not improve and the teeth did not need to removed at all. This is a classic example of how the shingles virus could be to blame. These days, dentists are being a bit more cautious when patients come in with gum, teeth, and mouth pain because they have learned from their past mistakes of disrupting the teeth when it was unnecessary. When this variety of the shingles virus hits the nerves just right, it causes Bell’s palsy. These nerves are connected to the brain and there are so many of them that are very close together. When one nerve is affected, it can affect the ones neighboring it causing additional symptoms that can even resemble a stroke. Below are some steps you can take not only to recover from Bell’s palsy, but also to prevent it from happening in the first place. Sometimes if you have Bell’s palsy once, it may come again because the virus in still active in a person’s system. It’s helpful to take these steps even if you aren’t experiencing Bell’s Palsy right now for this reason. In addition, the shingles virus that causes Bell’s Palsy can cause many other symptoms and conditions if the virus is left unaddressed so if you are a loved one have had Bell’s Palsy or any of the symptoms and conditions listed below, it would be helpful to make the adjustments to your diet and supplements that I share in this article. Other symptoms shingles can cause include different kinds of rashes, neurological symptoms like twitching, tingling, burning, spasms, chronic migraines, and headaches, frozen shoulder, diabetic nerve pain, colitis, vaginal burning, TMJ, joint pain, muscle pain, neck pain, sciatic pain, sharp nerve pain, burning nerve pain, heart palpitations, and more. Medical communities are completely unaware that these symptoms are a result of one or more of the many varieties of the shingles virus. To heal from shingles, there are certain foods that need to be avoided along with certain foods and supplements that help to inhibit and destroy the virus. Let’s look at some of these now. For more information on the shingles virus, its many strains, and how to heal from the symptoms and conditions it causes, you can read Medical Medium. Eggs are one of the most important foods to avoid because they are fuel for viruses. When you eat eggs, you are giving the shingles virus fuel to continue proliferating. Medical research is not yet aware that viruses eat, so you might hear health practitioners claim that viruses do not eat anything at all. This is a misconception and another classic medical blunder. Many trendy doctor diets of today tell you to avoid a potato, which is actually helpful for killing a shingles virus. Meanwhile they will recommend eating lots of eggs, which will actually feed the virus along with many other viruses responsible for so many different illnesses and symptoms. The truth is that eggs are the number one food that viruses feed on. If you want to heal Bell’s palsy, it would be helpful to stay away from eggs altogether. Dairy and pork are other foods to stay away from, mainly because of their high fat content. I know high fat diets are popular these days, but this is detrimental to anyone with Bell’s palsy. When your diet is too fatty, the blood thickens and does not allow oxygen to get to the nerves. A fatty diet also inhibits the immune system from doing its job to fight the virus that's attacking the nerves. It’s helpful to lower your fat intake whether you eat a plant based diet or you include animal foods daily. If you eat a vegan diet, reducing the amount of oils, nuts, seeds, coconut and avocado you eat is important. And if you eat animal protein, try to limit it to once a day or a few times a week and choose the highest quality lean protein sources you can. I know chicken is generally considered to be a lean meat, however chicken is best limited because it’s too high in fat for someone who is trying to fight Bell’s palsy. If you live in a place where eating animal foods is your only option, try to decrease the size of your meat portions and increase your vegetable intake along with bringing in any fruits you can throughout the day. Since fruit is unfairly feared more than ever before today, a topic I address in my Fruit Fear chapter of my book Medical Medium, hearing this may go against a trendy diet belief system that you have adopted. If this is the case, please understand that it’s what will kill off the virus—the cause of Bell’s palsy—and help you to recover your health that matters. When you know the true cause of your symptoms and conditions, your diet should then be adjusted to address it, regardless of what kind of diet belief system you subscribe to. Find out more about these foods and other important foods to avoid in my book Thyroid Healing. The good news is you have a lot of secret antiviral weapons in foods that will help you heal from and prevent Bell’s palsy. Fruit is the first food to focus on. Any fruit you eat will help fight the shingles virus because the phytochemicals in fruit are antiviral. Potatoes are another secret weapon to include in your diet. Potatoes are loaded with an extremely potent bioactive L-lysine that inhibits and reduces viral activity. It’s also helpful to include plenty of leafy greens like red leaf lettuce and romaine daily. Eat a cucumber and tomato salad with cilantro, parsley, sage, and rosemary. Yes, tomato. You should not be afraid of a fresh tomato no matter what you hear out there. If you believe that tomatoes are not healthy for you, you’re being misled. Garlic and onion are perfect antivirals to defend you against the shingles virus, as are cumin and turmeric. Drinking fresh pure celery juice is a great way to send healthy mineral salts to your nerve endings. Red clover blossom tea is a great tea to include because of its potent antiviral properties. You can discover more about some of the most healing foods for shingles and Bell’s Palsy in my book Life-Changing Foods. It’s also important to remove the heavy metals from your body and brain when you have Bell’s palsy. The shingles virus, and all viruses, feed on heavy metals like copper, mercury, aluminum, lead, nickel, steel, and more. By reducing the amount of heavy metals in your body, the shingles virus will have less fuel to proliferate and cause symptoms like Bell’s palsy and others. Check out my recipe for a Heavy Metal Detox Smoothie. In this recipe, there are five specific foods meant to draw out heavy metals from the body. These foods are Spirulina, Barley Grass Juice Extract, Atlantic dulse, wild blueberries, and cilantro. Include these five foods within a 24 hour period of each other to safely and properly remove heavy metals from your body. This is the most effective heavy metal detox protocol that exists. I shared it my book Medical Medium and you can also learn more on the blog. While we are discussing heavy metals, I want to share an important truth about mercury fillings. Many people want to get their mercury amalgams removed, but you should know that if you get all your mercury fillings removed at once this could be dangerous because it will release mercury into your bloodstream that wasn’t causing a problem before. The shingles virus will then have a feeding frenzy on mercury and cause more issues. This could result in Bell’s palsy developing. If you are determined to take out your mercury fillings because one is broken or falling apart, be careful to take them out one at a time with many months or more between between each removal. This is the safest way to go about doing this. You can read more about this in Medical Medium. Here is a list of supplements I recommend for those wanting to heal from Bell’s palsy. To see which brands I suggest, check out the supplement directory on my site. Talk to your health practitioner to decide on what dosages of these supplements are appropriate for you if you wish. L-lysine impairs the ability of shingles virus cells to move and reproduce. produced by the shingles virus. virus cells to move and reproduce. Lemon balm kills off and repels viruses. Curcumin reduces nerve swelling caused by shingles neurotoxins. Elderberry syrup strengthens the immune system. of the nervous system that have been damaged by the virus. Goldenseal strengthens the immune system. Hawaiian Spirulina supports the health of the central nervous system and is critically important for removing heavy metals that viruses feed on. Barley Grass Juice Extract Powder is also critical for heavy metal removal alongside spirulina which helps prevent viruses like shingles from proliferating. Hyssop tea is a potent anti-bacterial herb that helps to combat the bacteria that typically companies shingles. Thyme tea is a powerful antiviral tonic that is essential for shingles. Oil of Oregano is a wonderful antiviral that helps the body to detoxify poisons. Cat’s claw tincture inhibits the shingles virus, which is many times the true cause of Lyme disease symptoms. I share the still undiscovered truth about Lyme disease in Medical Medium. Mullein leaf tincture has strong antiviral properties that make it a potent remedy for the shingles virus. L-glutamine removes toxins from the brain and protects neurons. Another supplemental tool that can be a great support for regaining facial tone during or after recovery from Bell’s Palsy (depending on the person’s unique situation) is the Fantastic Faces sequence of movements offered as part of the Synergetics Tone Up System. If someone is experiencing facial droopiness for a long time, it can be helpful to try Fantastic Faces while they are working on their recovery. And if someone has facial droopiness for a short time only, they can use Fantastic Faces after recovery to help restore facial tone. Taking these steps that I have described above can be helpful to heal from Bell’s palsy that first occurred years ago, Bell’s palsy that is current or recent, and even to prevent it from happening altogether. It will also help to minimize, prevent or recover from other symptoms caused by shingles. If you feel overwhelmed by making changes to your diet and supplementation, take it one step at a time and keep moving forward. Over time, try to incorporate as many of these antiviral foods as you can. I stand behind you on this healing journey and I am with you every step of the way. Remember that understanding the root cause of Bell’s palsy is half the battle, so you are now that much closer to true healing. I’m with you. Every parent wants their child to be healthy and thriving. Not only do we want our children to be healthy while they are under our roof, but we also want to set them up with the best possible health from a young age so they can avoid or minimize chronic illnesses as adults. In the following article, I will outline some rudimentary practices that are beneficial for children of all ages. When thinking about children’s health, we need to consider two things. First, it is important to strengthen your child’s immune system so that it is ready to react appropriately when your child is exposed to a bug or toxin. Second, start working on eliminating deficiencies in your child’s diet. The health problems we have as adults partly stem from deficiencies we experienced in childhood, so it is important to work on these immediately to stave off any chronic illnesses that may crop up in the future. Why is it important to work on building up the immune system and eliminating deficiencies? There are so many common health problems children experience that make life harder for the child and the parents. Not only is it scary for families to go through illnesses, but it is not enjoyable to be at the doctor’s office every single week because of symptoms and illnesses that can be avoided. Many children experience ear infections, which are caused by the bacteria streptococcus as well as by certain viruses. Children pick up colds, flus, and fevers all year long, and they might get bronchitis, pneumonia, or sinus infections. It is also common for children to get mystery swollen glands and a fever which are very early signs of mono. Doctors try to avoid diagnosing younger children with mono because of training they receive in medical school that prohibits this. If the truth that children may have an Epstein-Barr virus infection very early on becomes known, there will be much greater awareness of the virus and it will need to become a focus of research and funding, which requires millions of dollars. This is the reason it’s prohibited. It's not the doctors’ faults. It has nothing to do with them. Even blood labs aren’t responsive to early EBV testing in children, toddlers and even babies for this very reason. This might sound controversial but it’s the truth. I share more of the unknown truth about EBV in detail in my book Thyroid Healing. Another common ailment is tonsillitis. Medical research is still unaware of the true cause of tonsillitis. Medical science and research aren’t aware that the true cause is a form of EBV when it is in the tonsils, along with EBV’s cofactor—the bacteria streptococcus—and this can be healed by working on lowering your viral and bacterial load with the information I share in my books, radio shows, and articles. For more information about how to heal Epstein-Barr Virus, check out my book Thyroid Healing. 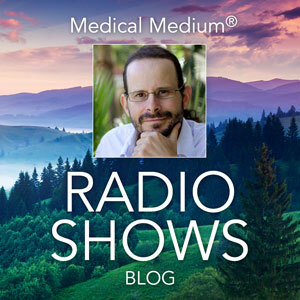 And for more information on how to address a streptococcus infection, you can listen to my radio show and read the blog article on this topic. Other common health problems in children include issues that stem from liver stagnancies, like eczema, psoriasis, constipation, food allergies, and sleep issues. It’s possible to have a stagnant liver even as a child because our parents can pass down toxins, viruses, bacteria, radiation and more at conception and throughout pregnancy (and at any time in our youth or adulthood,) and they can affect the liver of a child even before birth. These ailments caused by a sluggish liver are often labeled as autoimmune diseases, when actually they can be healed by bringing in some foods to build up the child’s immune system. You can learn more about the unknown cause of each of these conditions and how the liver is involved along with how your children can heal in Liver Rescue. There are also viral conditions that children often experience, which requires the immune system to be further supported to fend off these pathogens. While many of these health problems get labeled as autoimmune diseases, this is simply not the case. Your child’s body is not attacking itself. Please do not fall into this trap of confusion. Our bodies love us unconditionally and are always working for us, not against us. You can trust your body, and your child’s body, is always supporting you. It’s also vital that you know that these symptoms and conditions are not genetic. You and your child do not have faulty genes. This is another mistaken theory that is leaving people feeling let down by their own bodies. It’s absolutely critical to know the truth about these two misguided theories, which is why I address them in detail in my book Thyroid Healing. You and your loved ones need to know the truth for the sake of your health. Remember that not all supplements are created equal. It’s crucial to purchase vitamins that are truly pure and high quality so you can feel confident that they will actually support your child’s immune system. A multivitamin that I love that supports children of all ages is from MaryRuth’s Organics. They have a morning multivitamin and a night time multimineral supplement that I recommend for children on a daily basis. This product is very pure and does not contain MSG hidden under another name, like so many of the so-called natural vitamin products available to us in health food stores. Liquid zinc sulfate is a supplement I recommend for people of all ages. For your child, make sure he or she is getting a couple of drops of zinc on and off throughout the year for protection and immune support. As a society, we are devastatingly zinc deficient. It is one of the most important supplements to focus on because without zinc, our health can fall apart. At the core of so many of the health problems children experience is a zinc deficiency that starts early on. Probiotics can also be included in your children’s routine. Garden of Life Raw Probiotics are safe, gentle, and helpful for children. Elderberry syrup is an incredible supplement that you can incorporate throughout the winter months and even throughout the summer, as well. Instead of cod liver oil, which was an old staple that is not actually helpful for immune support, try a plant based algae EPA/DHA. Hawaiian spirulina and barley grass juice extract powder is helpful for removing heavy metals in our children’s systems. In my book Medical Medium, I shared that we come into this world with toxic heavy metals that are passed on to us from many generations before and with each generation they become stronger and more dangerous. Medical science and research are not aware that heavy metals cause or contribute to conditions such as autism, ADHD, obsessive compulsive disorder, depression, anxiety, insomnia, migraines, eczema, psoriasis, learning difficulties, and more, so it’s critical to know how to safely remove them. If you are breastfeeding and worried about taking steps to eliminate heavy metals, do not worry because the metals will not go into your breast milk if it’s the specific combination of the five foods I recommend. It is still safe to take some Hawaiian spirulina and barley grass juice extract powder when breastfeeding, along with the other three heavy metal removal foods that I share on my heavy metal detox blog post and radio show. These two supplements balance out the immune system and are helpful in many other ways, which I speak about throughout the materials offered on this site and in my books. You can also strengthen your child’s immune system by removing certain foods from his or her diet. When you hear complaints about tummy aches or digestive issues, consider eliminating gluten and dairy products. I am aware that we have been told our whole lives that cow’s milk is essential for our children’s health and that dairy builds strong bones. However, this is inaccurate. Children do not require dairy to have strong bones. In fact, it is the calcium and silica in plant foods that strengthen bones. If you are worried about removing dairy, please know that we have been misinformed about this aspect about health. Also, consider removing eggs, corn, and soy. These are common allergens that are not supportive for children’s immune systems. I discuss these foods and why they are important for everyone to avoid, including children, in my book Thyroid Healing. Remember that you have options when it comes to eliminating foods. If it feels overwhelming to remove all of these foods from your family’s diet, consider taking out one or two at a time and see how this affects your child’s health and immunity. Another note, if you are not breastfeeding and would still like to give your child milk, you can make your own supplemental milk at home that is very healthy and full of vitamins and minerals your child needs. Just blend avocado, ripe banana, and water or coconut water to create a delicious drink to replace breastmilk or to supplement on top of it. If your child comes down with a cold or flu, hydration is critical. As soon as you feel your child is developing a fever, stop the solid foods right away and increase the liquids. Give your sick child plenty of lemon water, vegetable broths, fresh cucumber juice, coconut water or even a pure bottled fruit juice such as 100% apple juice and you can dilute it with a little bit of water or coconut water. Giving your child food when the fever has begun will only spike their temperature and make it more difficult to fight. It’s crucial to stave off the fever with high quality hydration. In addition to the regular supplements I’ve recommended above, it is helpful to have some herbs and supplements on hand in preparation for times of crisis. When you or your child feels something coming on, you can turn to this kit to find what you need. There’s nothing worse than your child becoming ill late on a Friday or weekend night and wishing wish you had some elderberry syrup on hand! Eclectic Institute has a line of children’s herbs that I have trusted in for years. Some of their best products are the Kid’s Echinacea Goldenseal Throat Spray, Kid’s Elderberry Red Root Throat Spray, Kid’s Herbal Cough Elixir, and Herbal Biotic. Another important herb to have on hand is Mullein Ear Oil, which is highly effective for ear infections. You can put a couple of drops of this in your child’s ear to prevent ear infections and to help the infection if it’s already started. Ask your health practitioner for advice on how to use these supplements best for your family. When considering deficiencies in your children, it is very helpful to work on correcting them early on so that your kids are set up for a better life for years to come. Decades into the future deficiencies will crop up if they are not handled at a young age, even if your child’s health seems good and stable during their younger years. The following are some foods that are very helpful to include in your child’s diet. If your children are older already, there’s nothing to be concerned about, you can simply take these steps now to support them. I understand that children are their own individuals with their own unique opinions and preferences; so if your child simply won’t eat certain foods at this age, perhaps that will change in the future. For example, if your child won’t eat avocado, try offering them another one of the foods from the list below. By keeping your house full of delicious fruits, leafy greens, and vegetables, you will be able to see your child make their own decisions and reach for the healthful foods they are interested in. Just keep your counters stocked with their favorites from this list, and maybe soon their palate will begin to expand. Bananas are one of the top foods for children. They are loaded with amino acids, protein, and even healthy fats. Bananas are filled with potassium, which is critical for brain health and brain development. These are an absolute staple to include in your child’s diet. And do not be afraid of the sugar in fruit. Feel free to encourage your children to eat as many bananas as they please because this amazing fruit is so essential to their health. If you are afraid of fruit, you may want to read the chapter called “Fruit Fear” in my book, Medical Medium. Berries are another staple food to provide to children. They are absolutely packed with phytochemicals, antioxidants, and anthocyanins. Try to incorporate wild blueberries, blackberries, strawberries, and any other type of berries your children gravitate toward. Apples and pears are some more fruits that are important to include in your child’s diet. And remember to have sweet potatoes and winter squash on hand to throw into your meals. Try to incorporate turnips, different varieties of potatoes, coconut, and avocado, as well. These are all great foods to help your children avoid deficiencies. Celery and cucumbers are also important to include because they have mineral salts, which build electrolytes. When electrolytes are strong, this strengthens the brain’s neurotransmitters. This is important to consider when it comes to the problem so many children have with staying focused. Another fantastic food to give to children is homemade popsicles. Brew some lemon balm tea, mix it with raw honey, and freeze it in popsicle molds. You can also make popsicles out of blended fruit like cantaloupe and watermelon popsicles. This is a wonderful way to get your children to eat more of the antioxidant- and vitamin-rich foods to prevent deficiencies. Try making sweet potato soup for your little ones. Simply boil sweet potatoes and blend them with hot water, nutmeg, and cinnamon. This creates a nutrition-filled, warming soup that is satisfying to anyone who loves sweets. I share the truth about how all of these foods and many more benefit us and our children physically, emotionally, and spiritually in my book Life-Changing Foods. The book also has 50 mouth-watering healing recipes for you and your family to enjoy! You can even do gluten free waffles and pancakes using millet and oat flour. And you can make banana ice cream by freezing ripe bananas, then blending them in a high-speed blender or food processor. This is a delicious snack or breakfast and a great alternative to dairy-based ice cream filled with toxic sugar and heavy metals. You may be wondering if you should stay away from bottled juices. Bottled juices are great when you can find them organic with no natural flavors or additives. They are available at most grocery stores these days and they provide a convenient source of anthocyanins, minerals, vitamins, and antioxidants. Fresh juice is always best, but bottled juices serve a helpful purpose too. There is so much to say when it comes to children’s health. This article simply lays out some helpful steps you can take to build up your children’s immune system and eliminate deficiencies. Remember just to take it one step at a time. This information may seem overwhelming and a lot to take in all at once. There is so much misinformation out there and I want to help ensure your child has the best possible chance for a healthy life by sharing these truths with you.